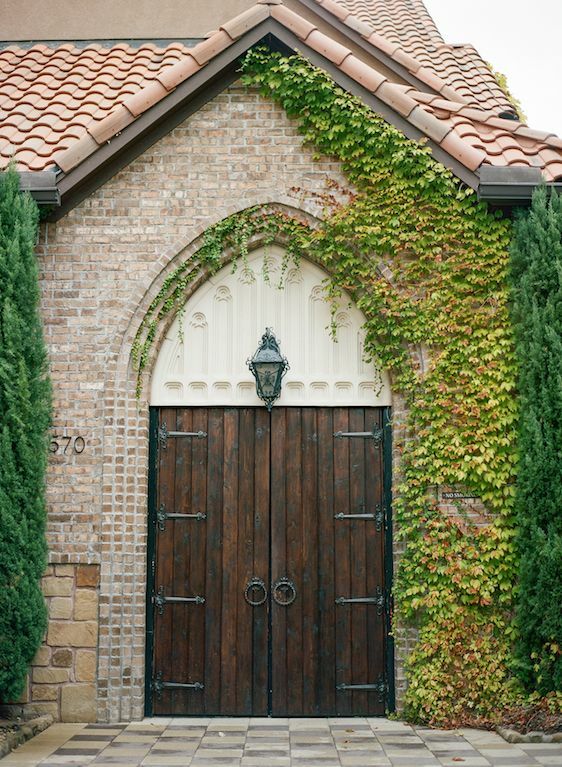 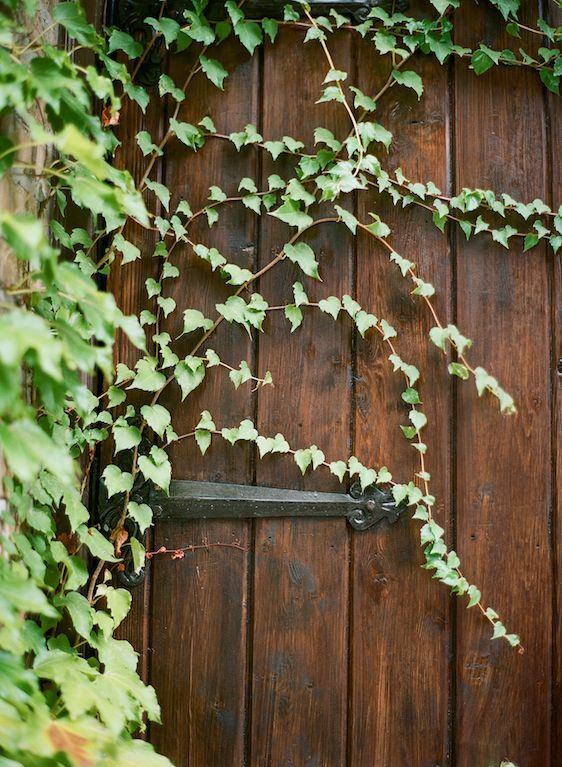 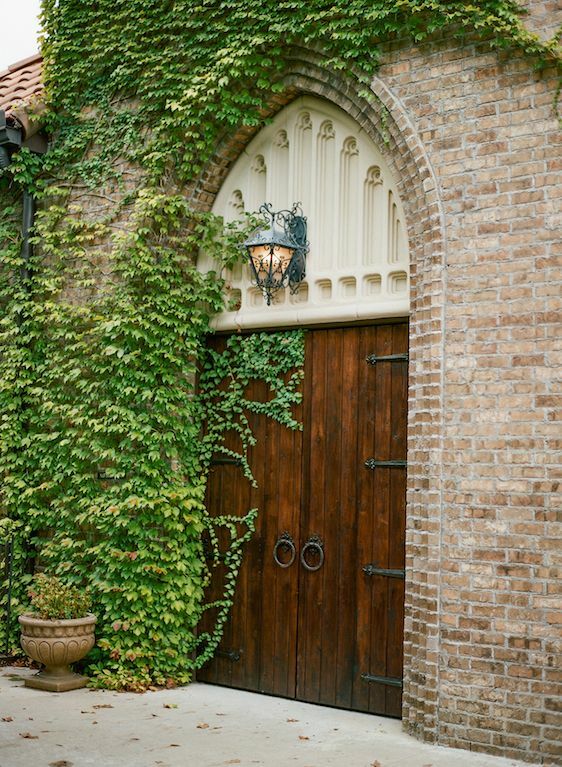 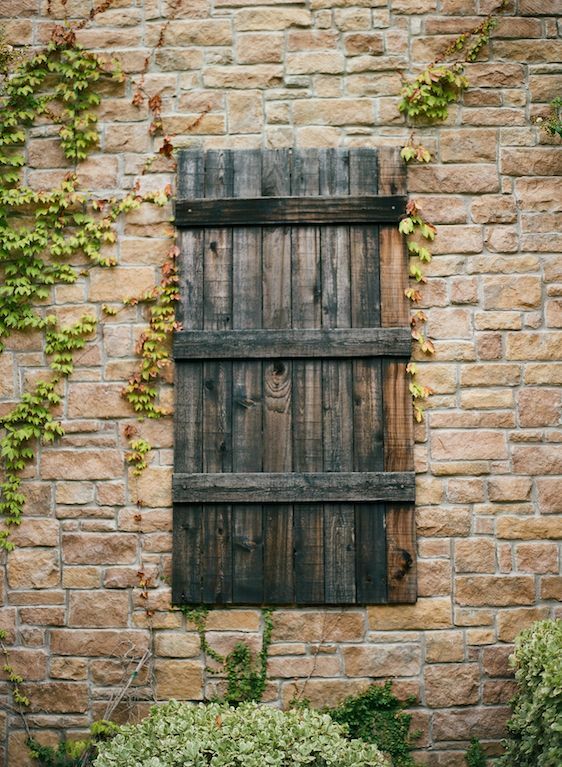 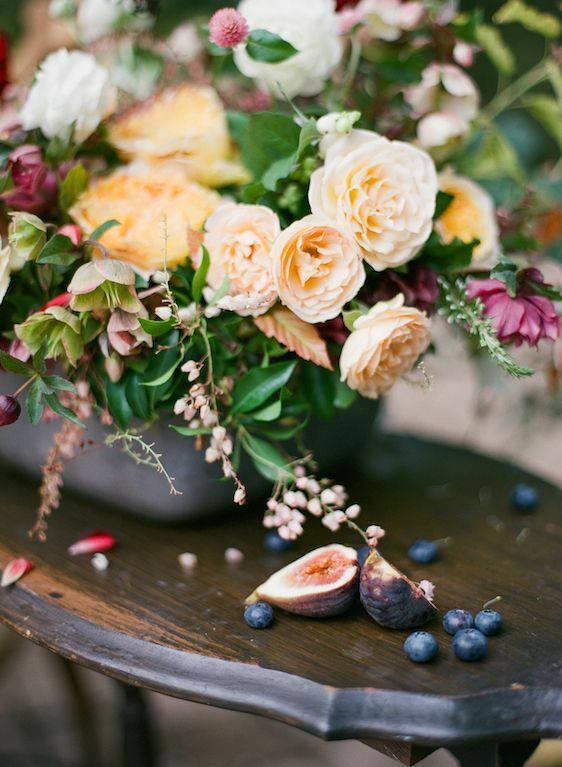 With the first official day of fall fast approaching, we couldn't resist sharing this moody autumnal inspiration. 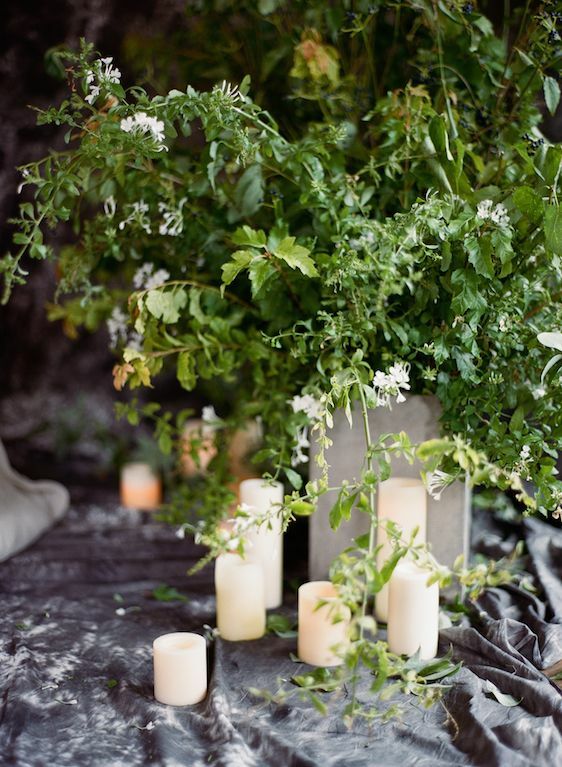 Lindsey Zamora did an exquisite job with the event design and with lushest of florals by Poppy Lane Design? 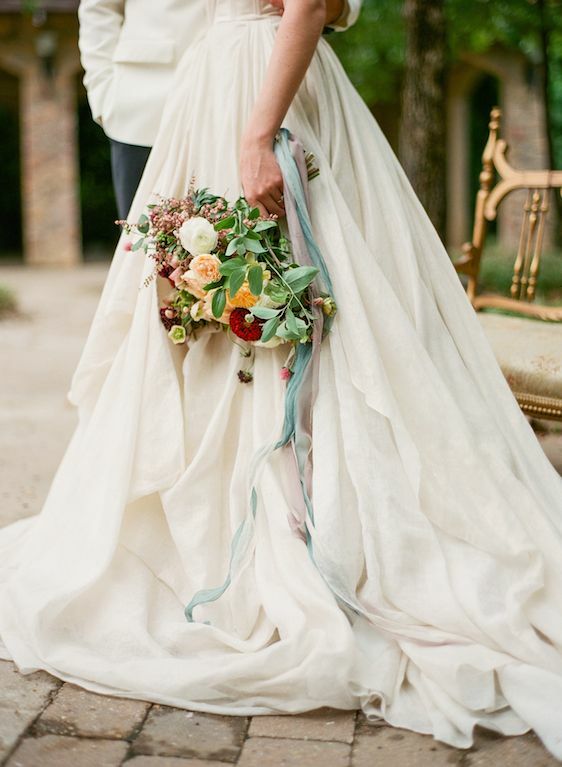 Dreamy doesn't even begin to describe it! 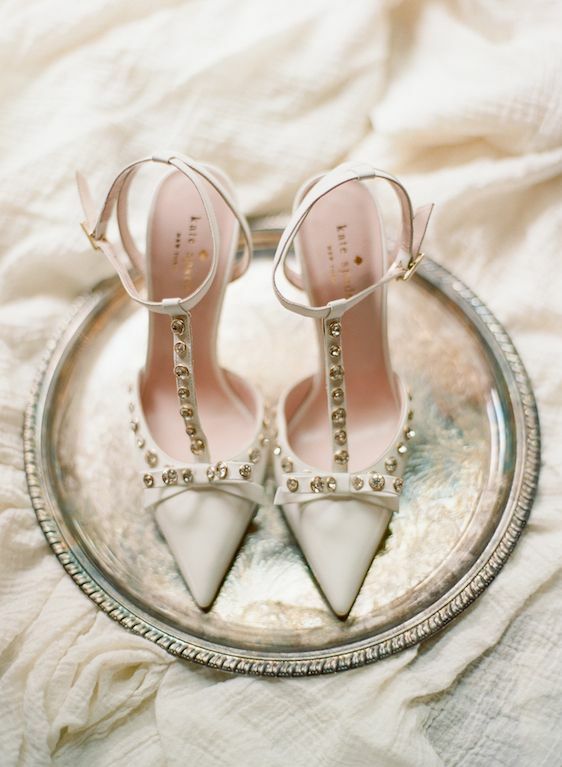 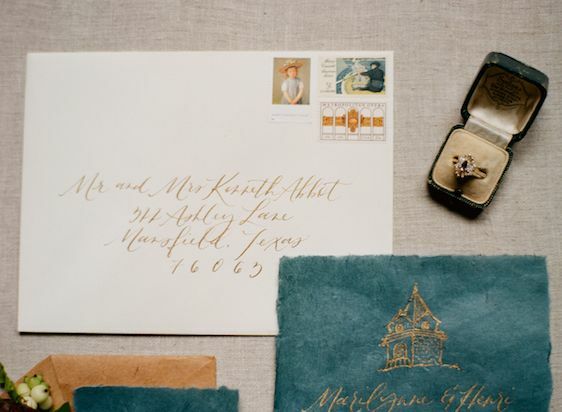 Each and every detail is oozing with drama and sophistication and Emily Katharine captured it all so beautifully. 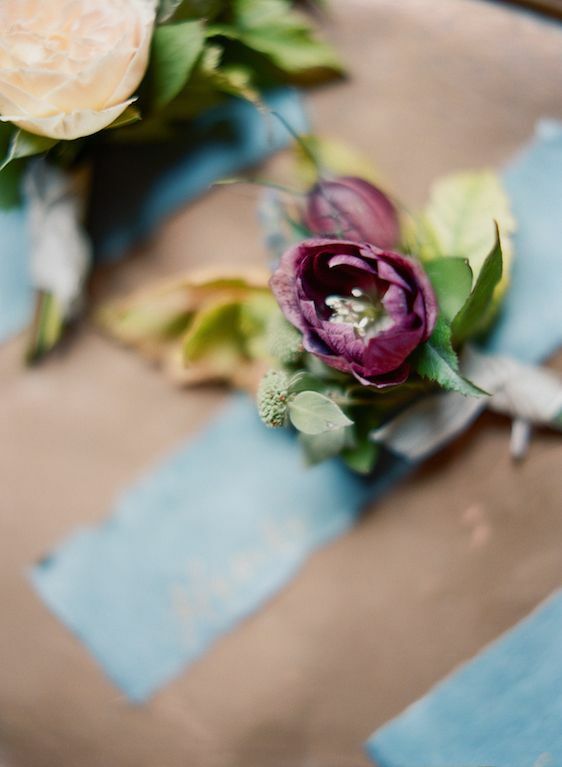 Created as a part of the Amanda Watson Workshops held at Aristide — we just can't contain our excitement for all the beauty that was created on this day. 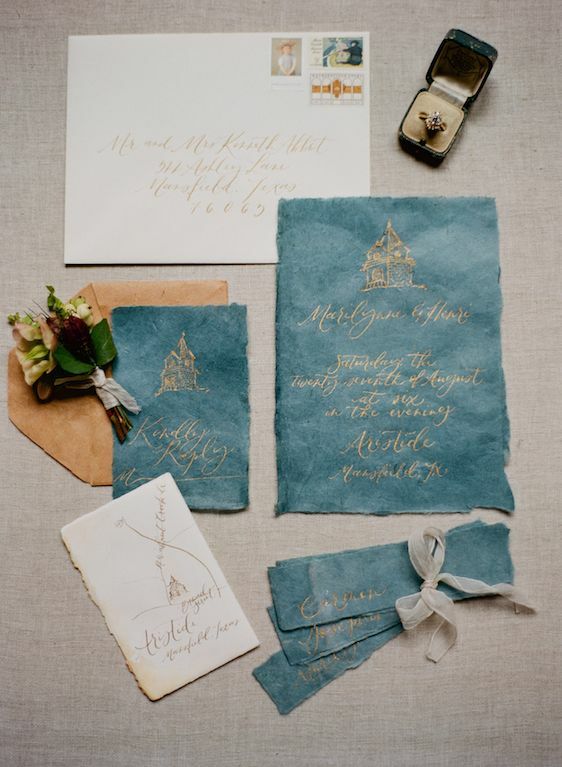 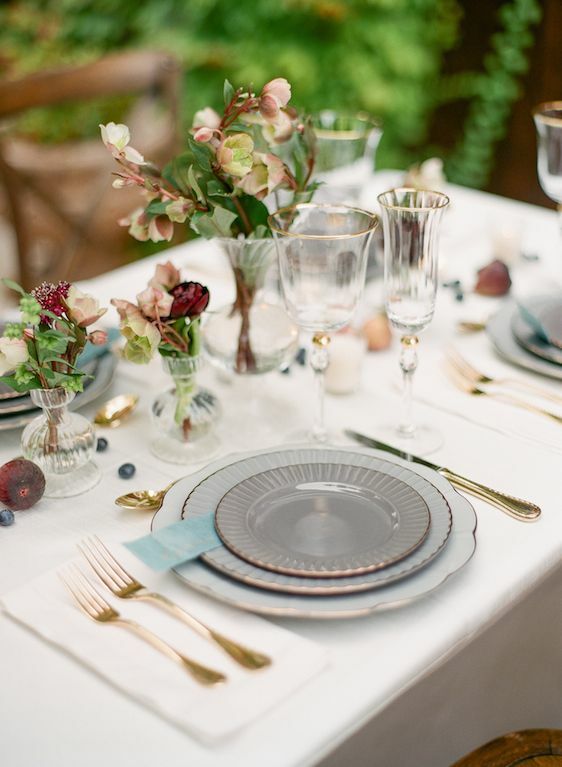 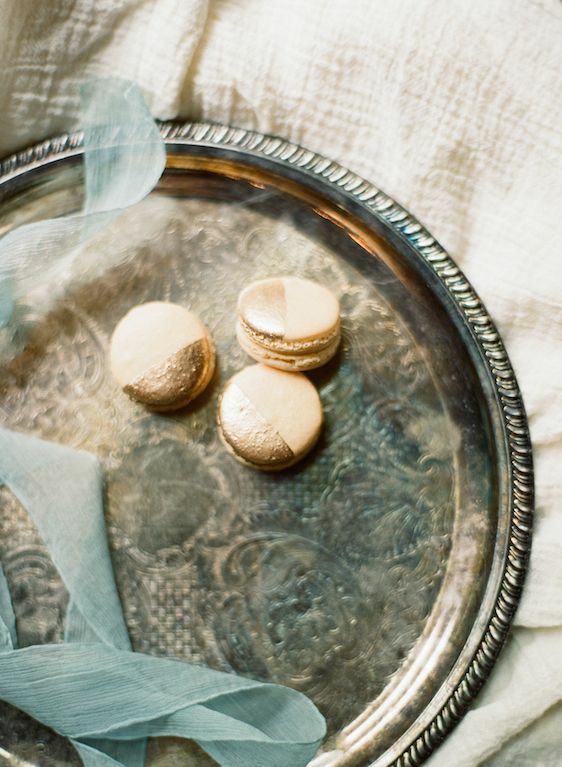 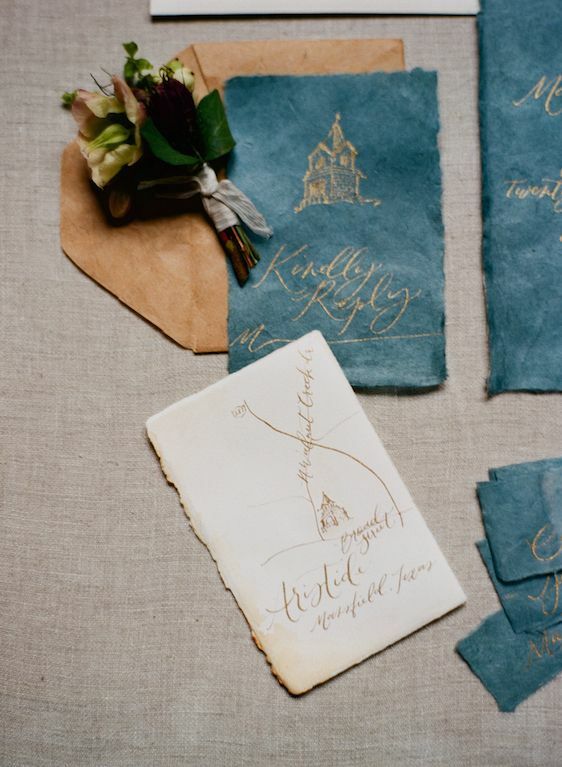 "Styled perfectly by Lindsey Zamora, the tone for this shoot was instantly set by the dusty blue wedding invitations, created by Fig & Flourish." 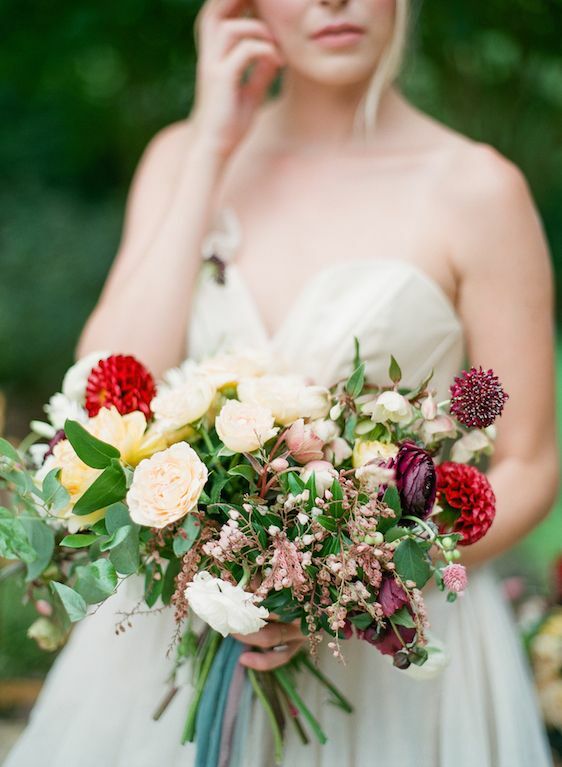 "I don't often consider cooler blue tones when I think of fall, but it was the perfect compliment to the deeper maroon hues." 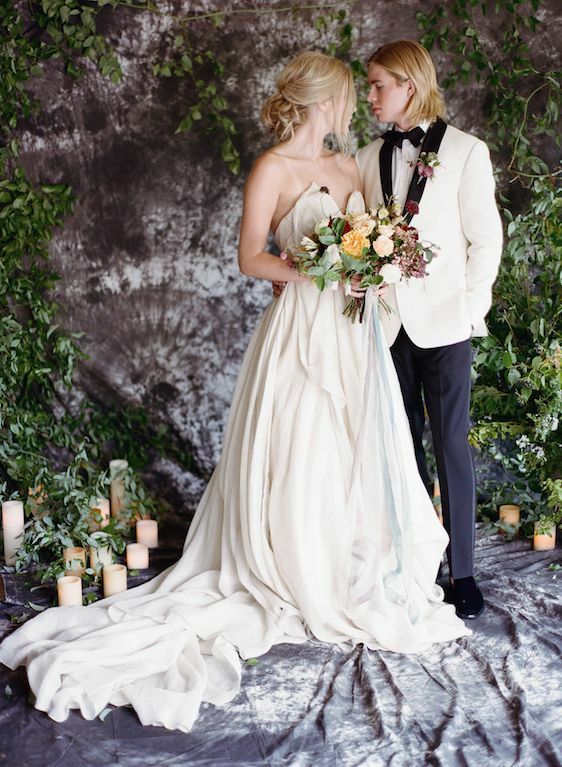 "Our beautiful couple exchanged vows in front of a smoky gray, textural backdrop surrounded by organic greenery." 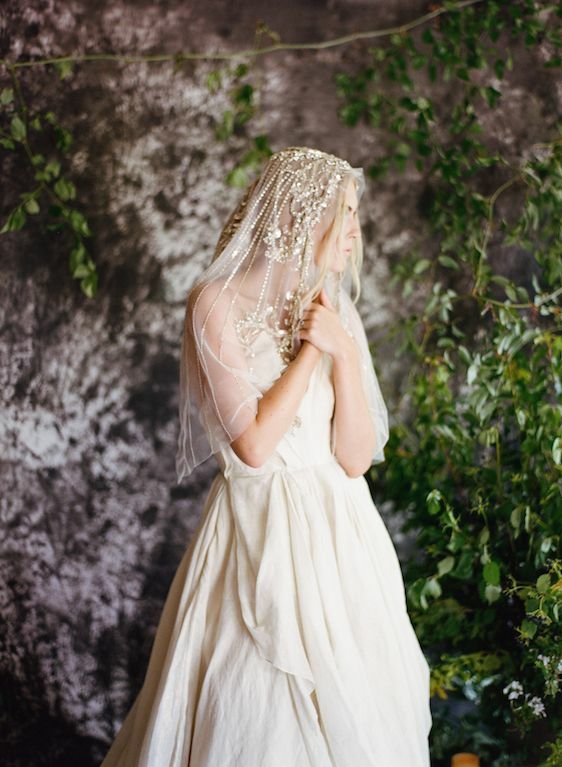 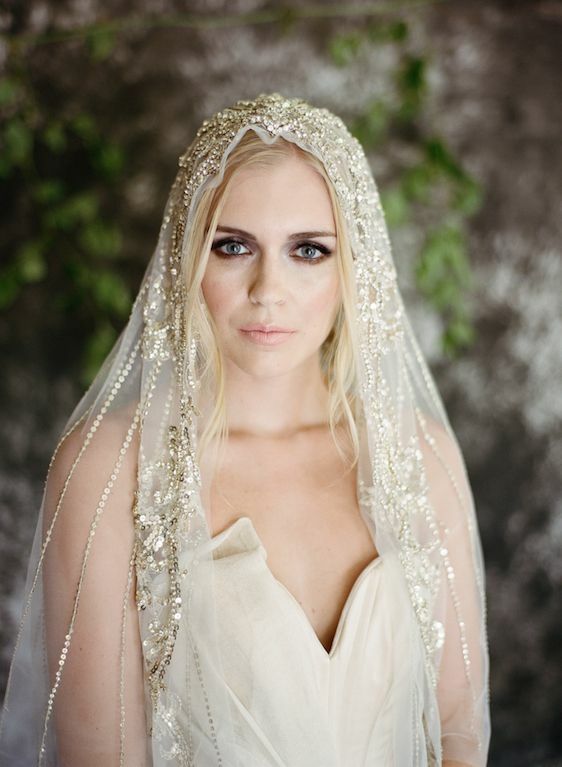 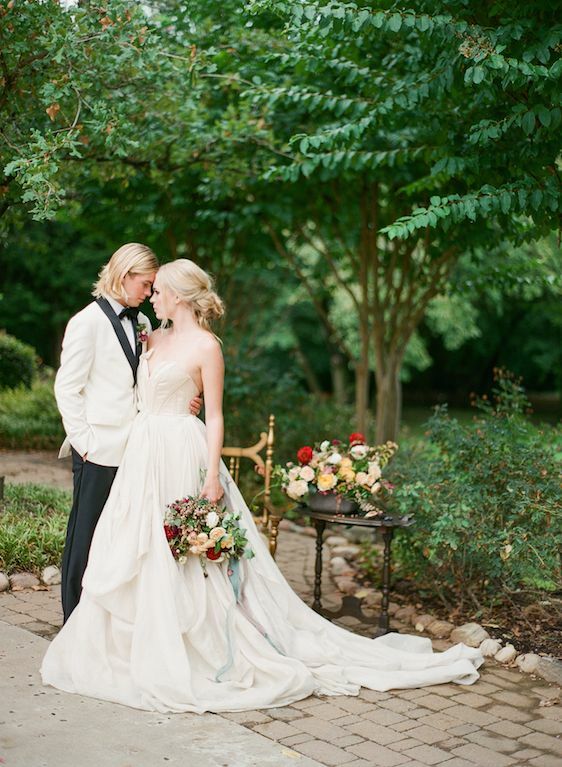 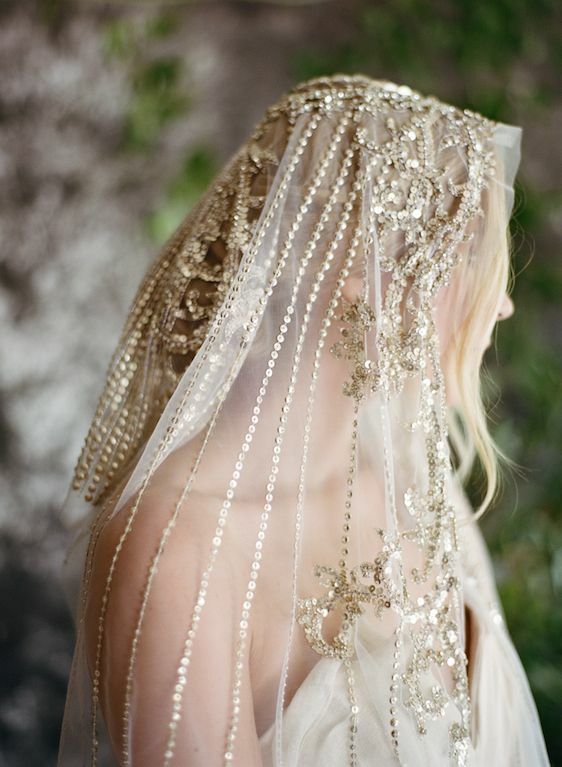 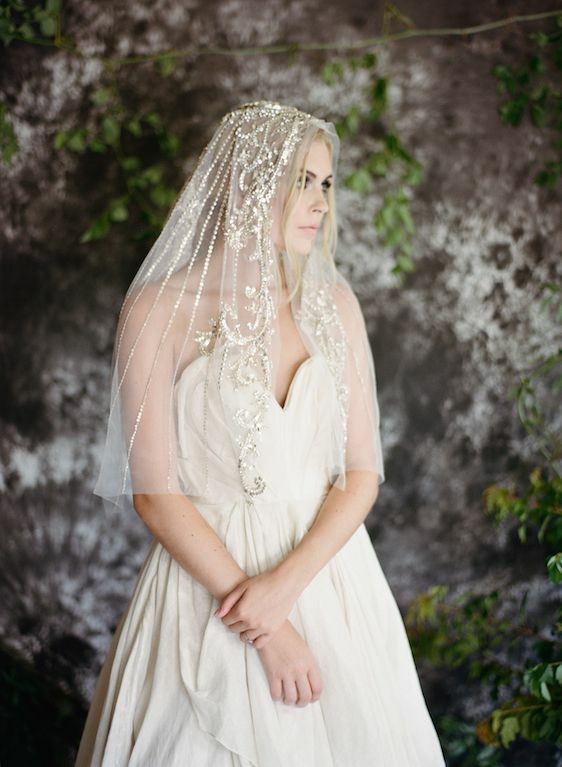 "The bride wore a Carol Hannah gown and an beautifully embellished veil." 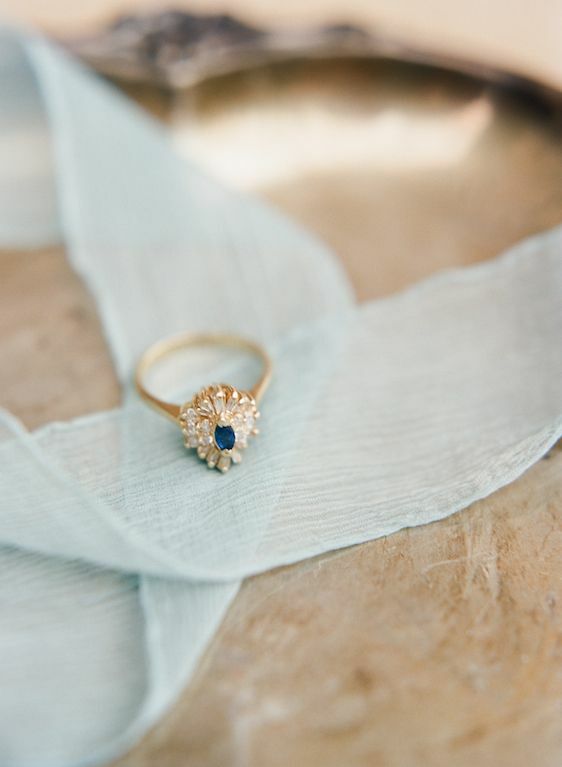 "On our bride's finger sat a ring from Amulette Jewelry and she carried a stunning bouquet designed by Poppy Lane Design." 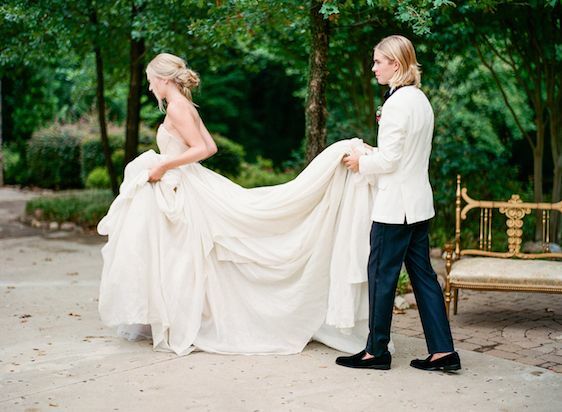 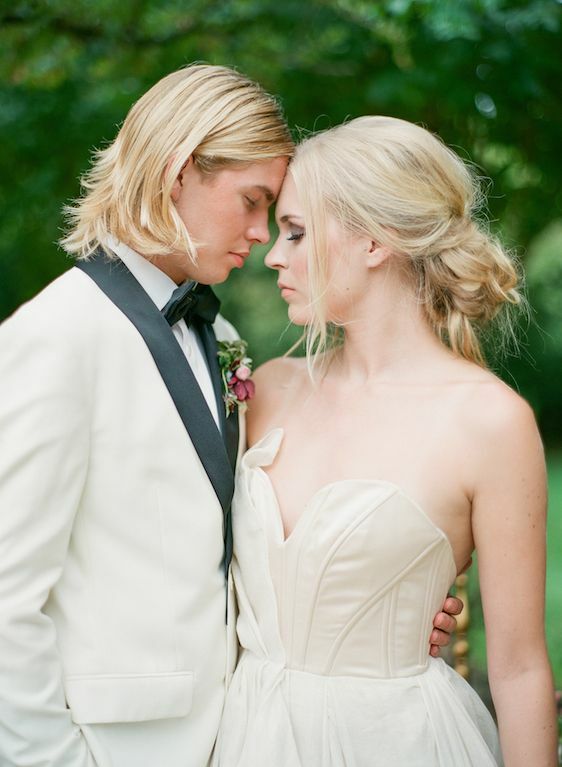 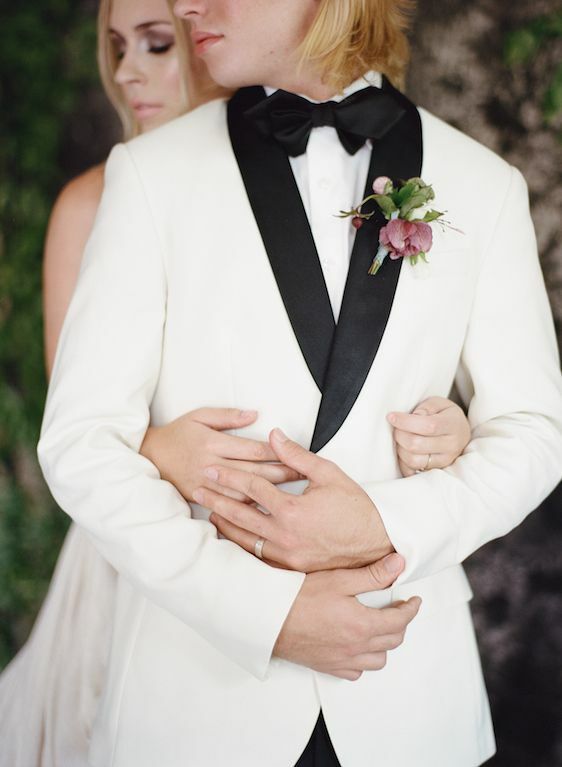 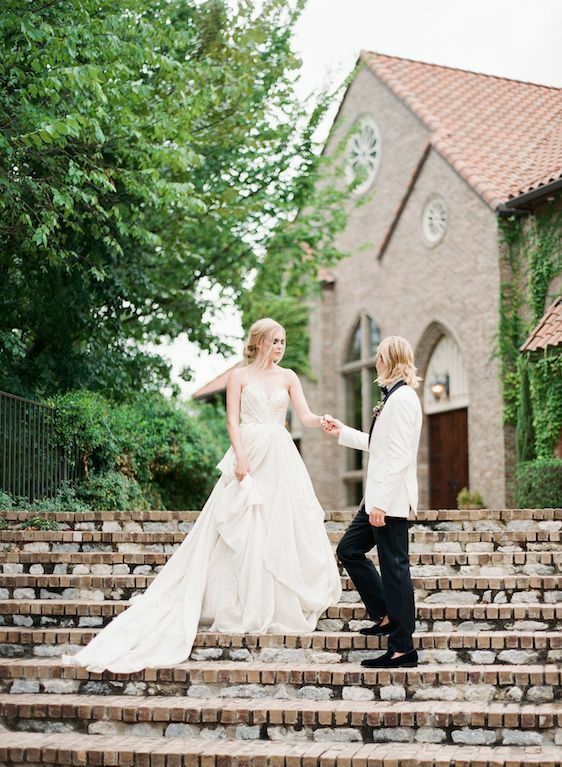 "Her groom mirrored her level of sophistication in a white and black suite from The Black Tux." 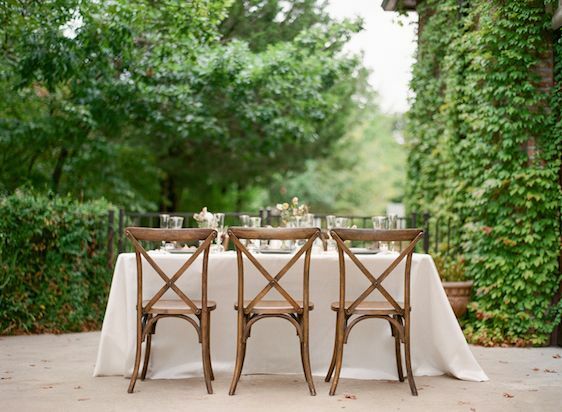 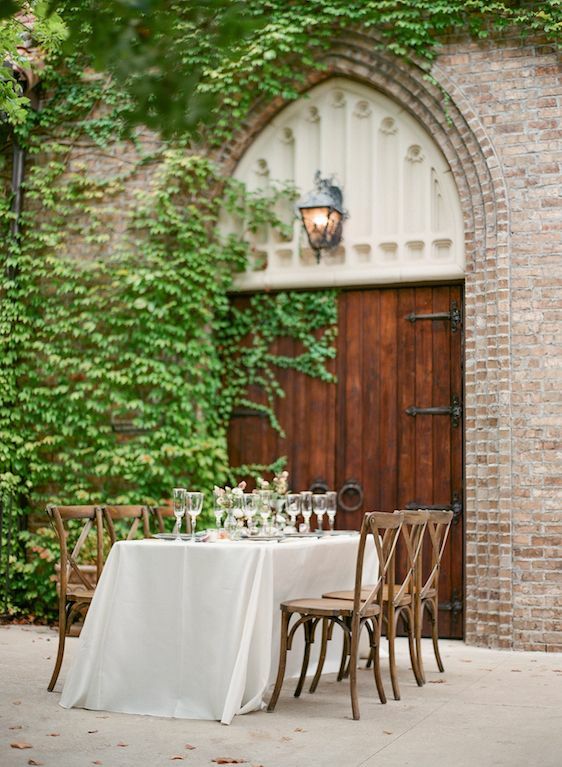 "An intimate dinner was enjoyed outside on the patio. 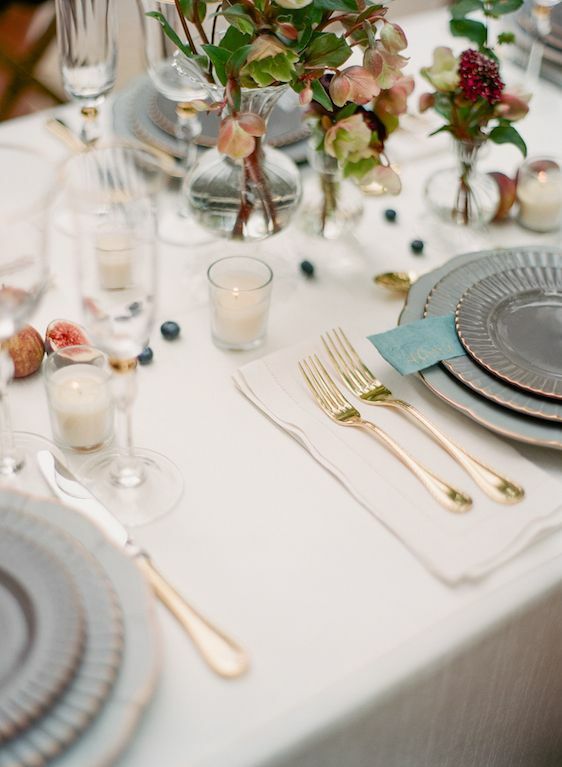 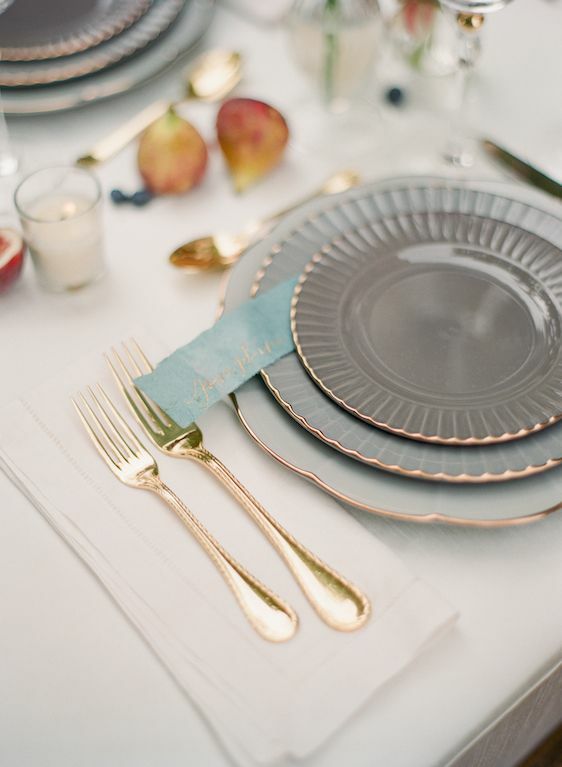 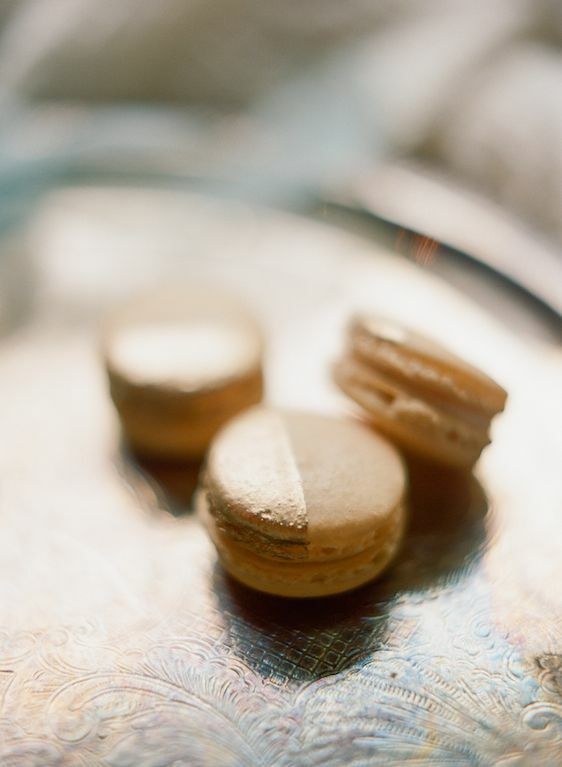 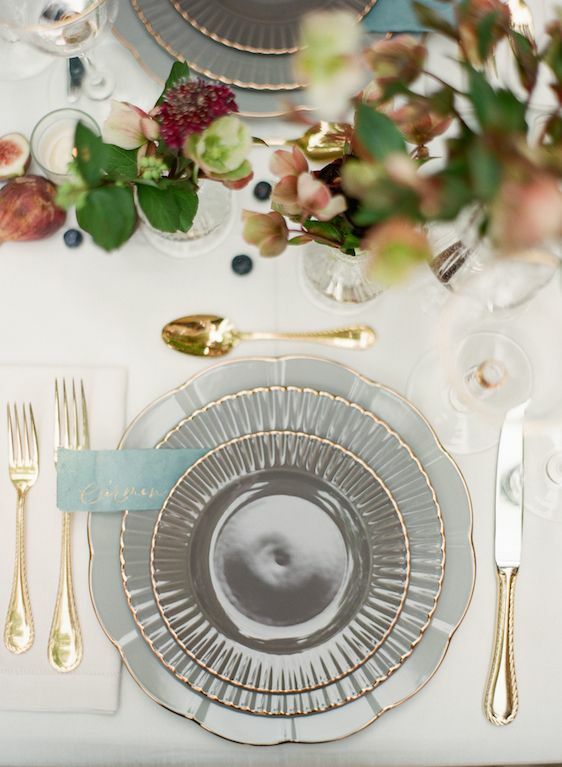 The place settings were immaculate with goods from Posh Couture Rentals." 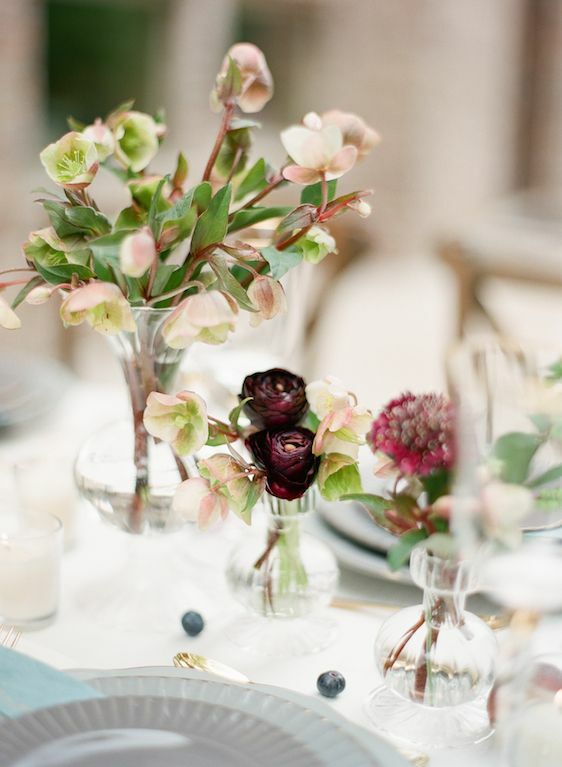 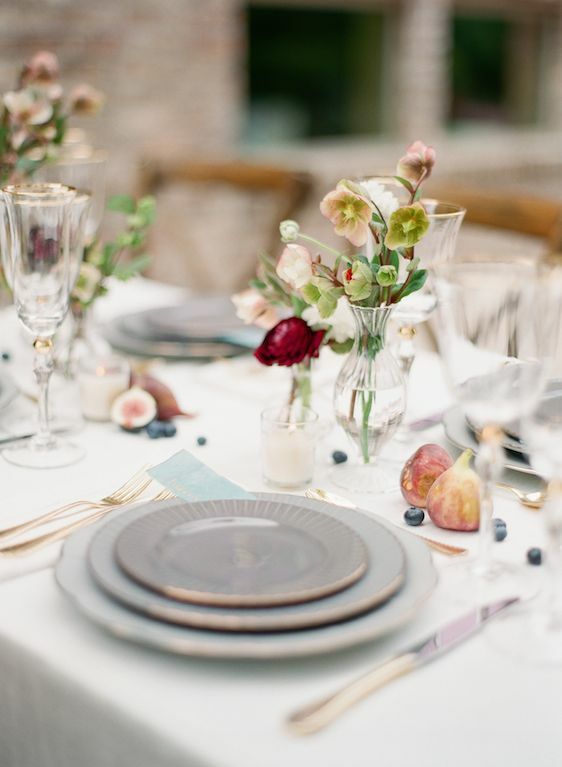 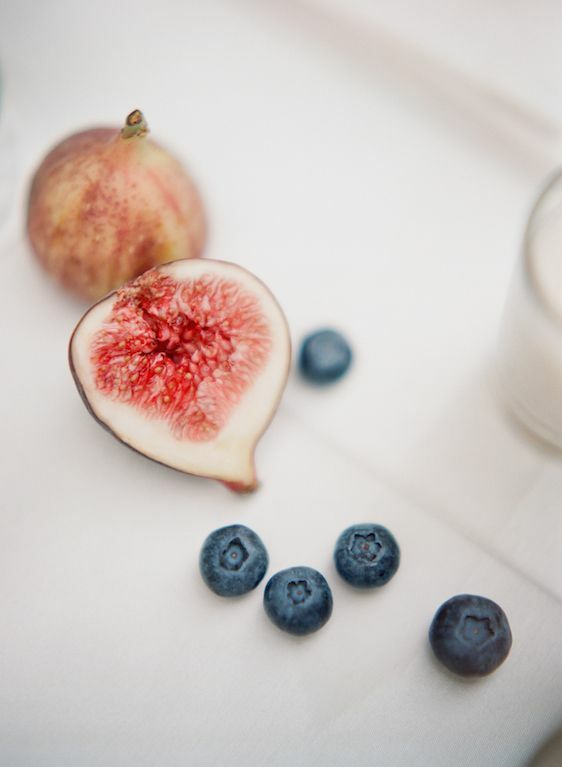 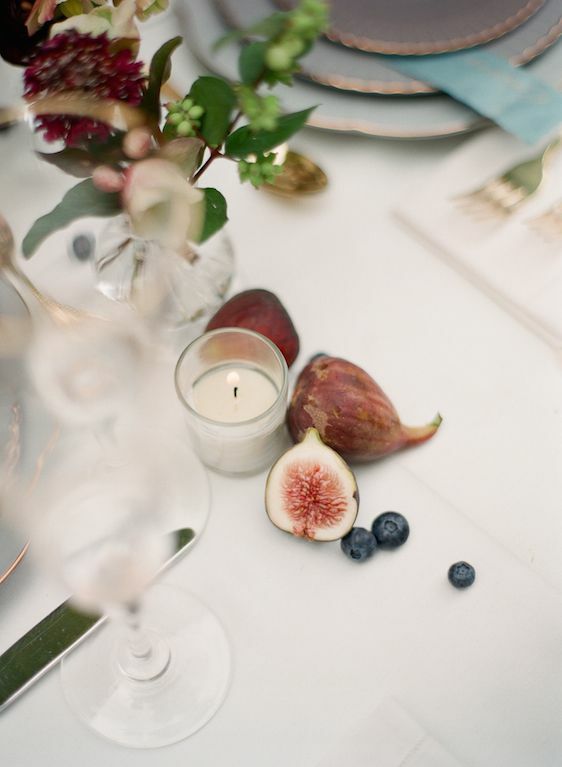 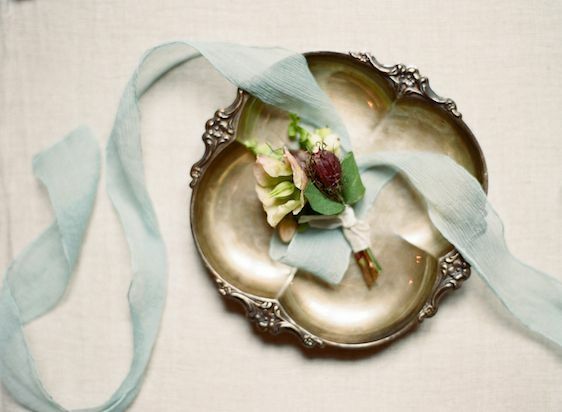 "everyone loved the organic touches of the figs as well as the hellebores that complimented the groom's boutonniere." 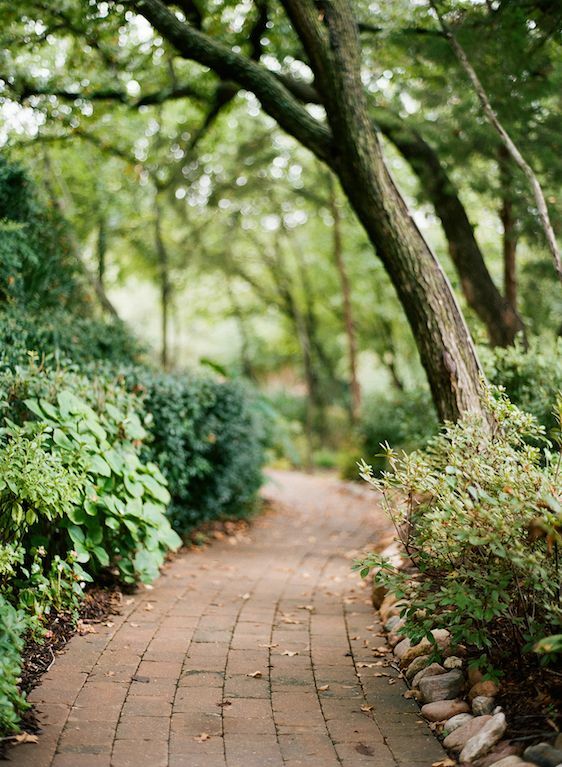 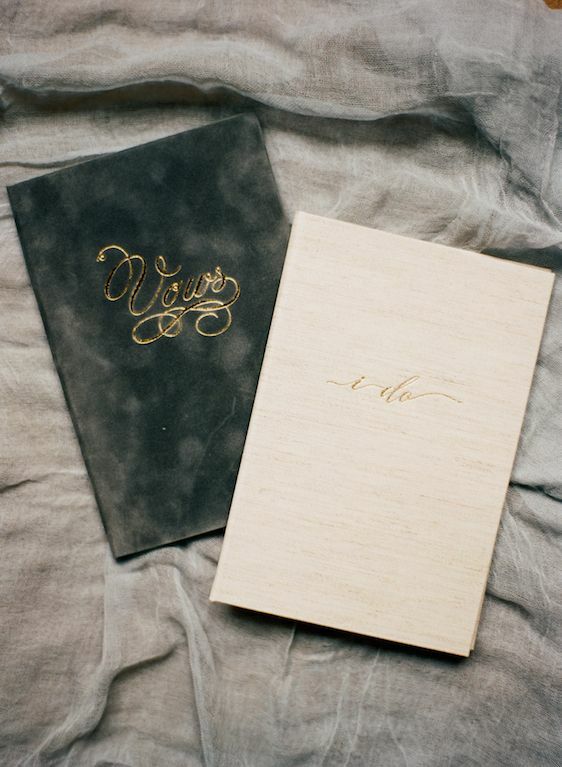 "The Inspiration for the Wedding Day shoot first came to me while driving to a real wedding." 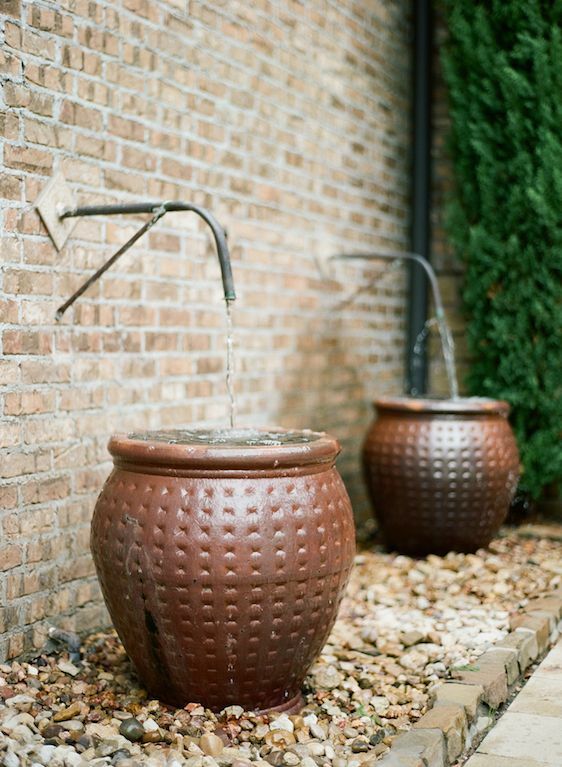 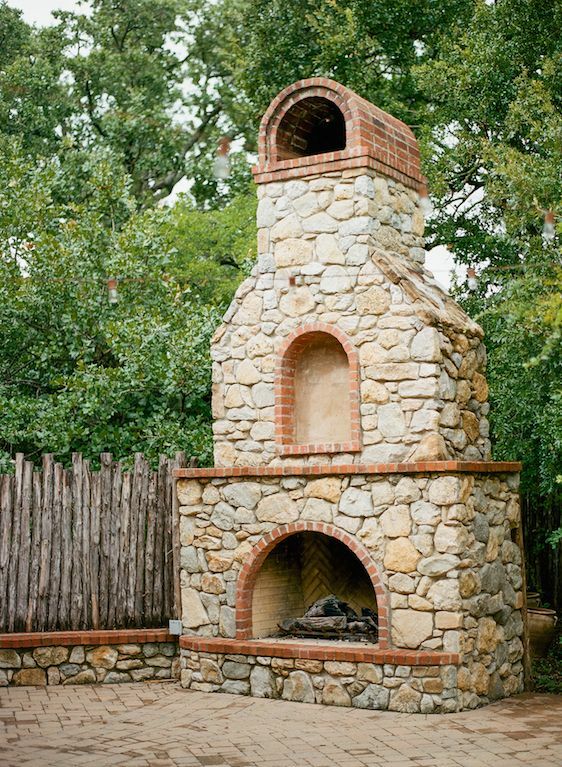 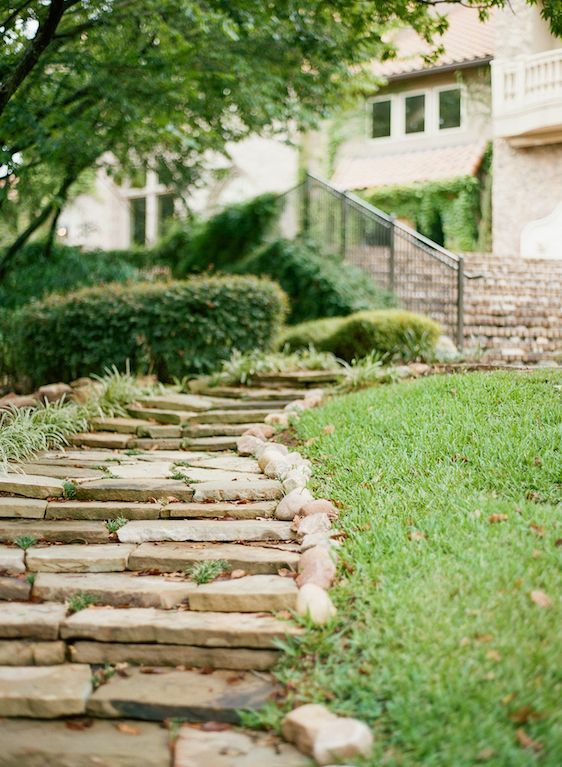 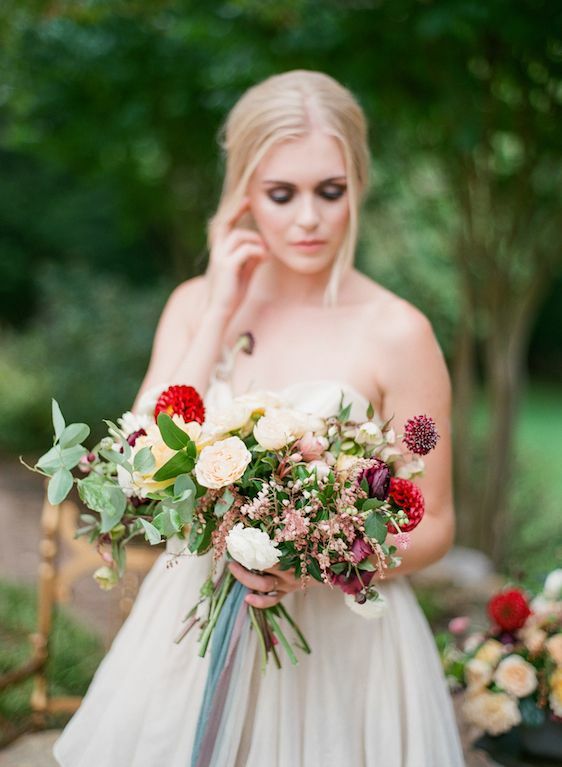 "I was in awe of the natural landscaping and color palette that surrounded me as I drove from Texas to Arkansas." 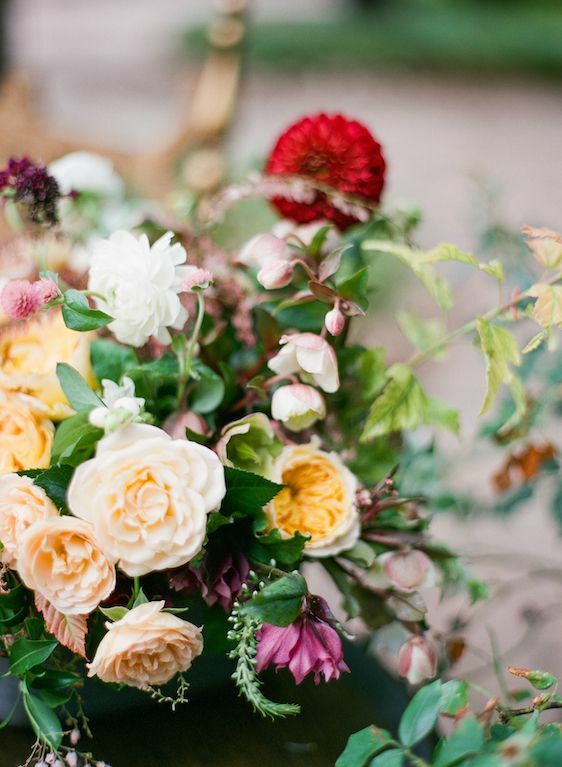 "The colors of deep sea, forrest, sky, amber and wheat filled my view and I could not let it go! 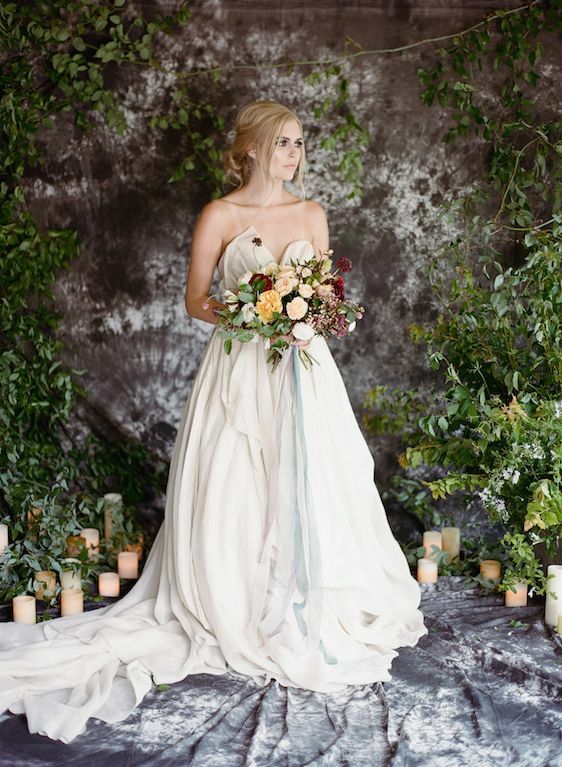 I knew they would work well with Aristide as the backdrop." 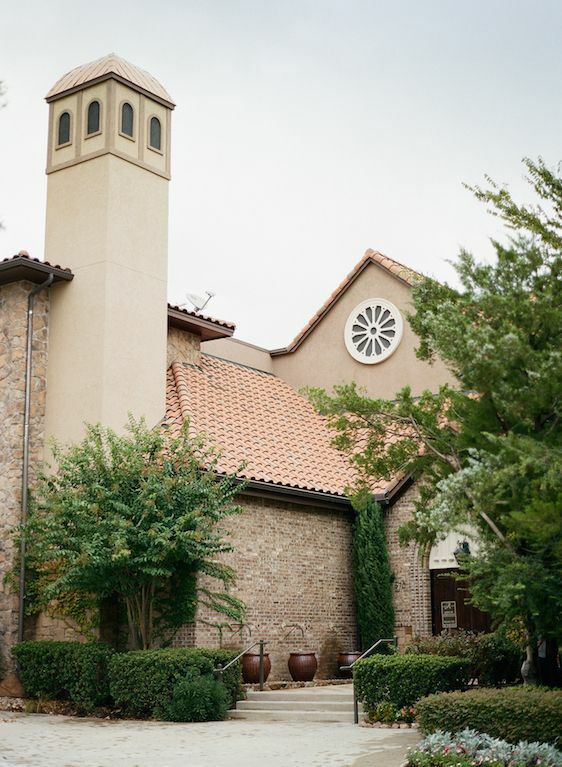 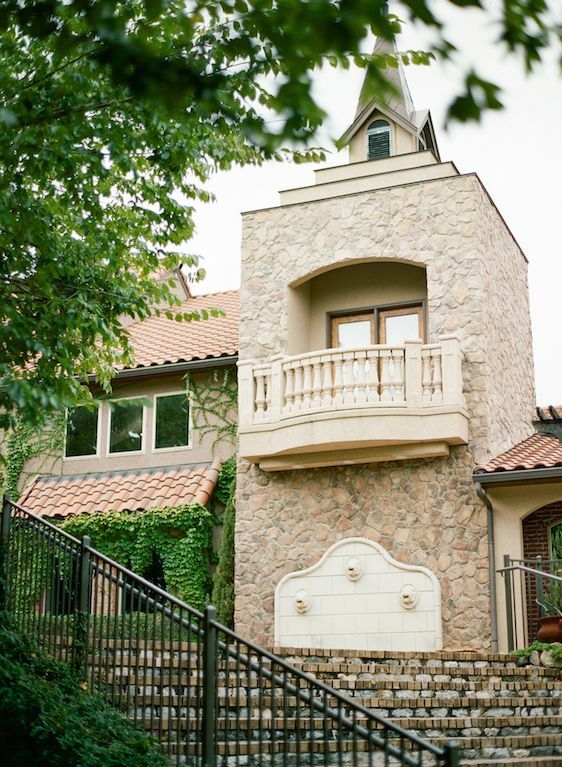 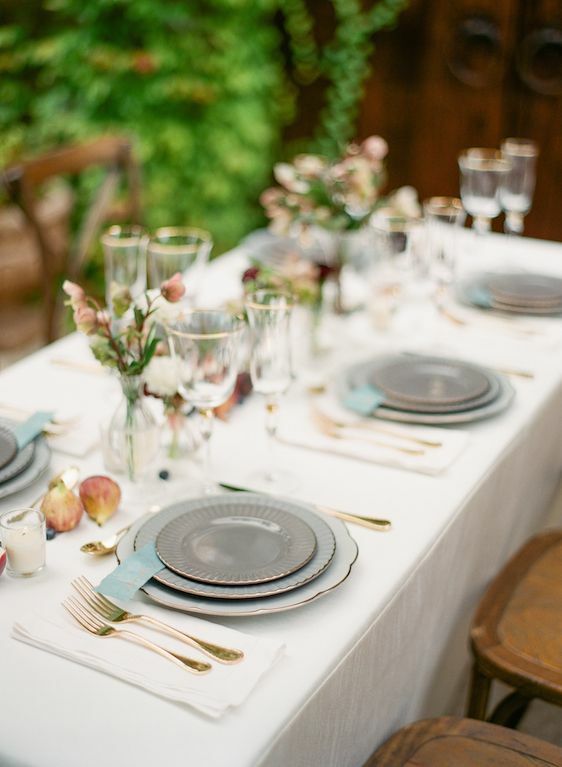 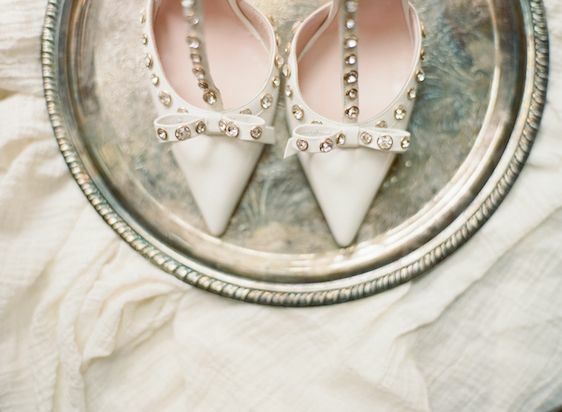 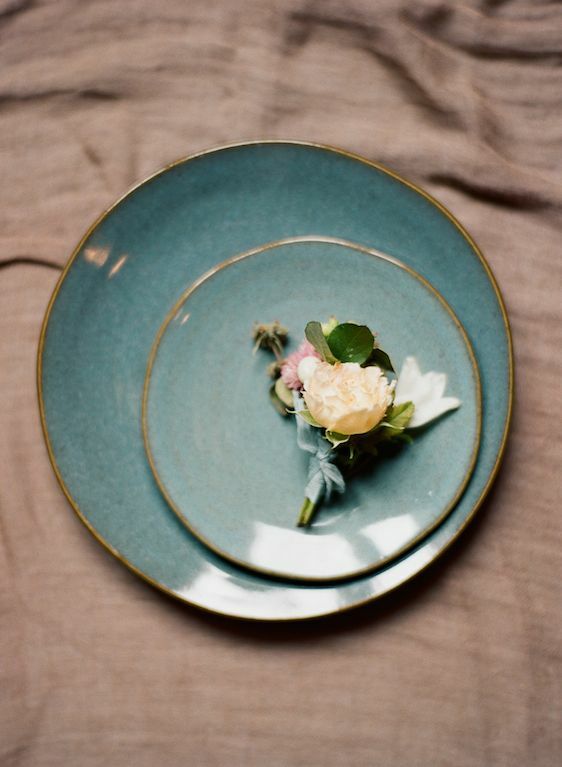 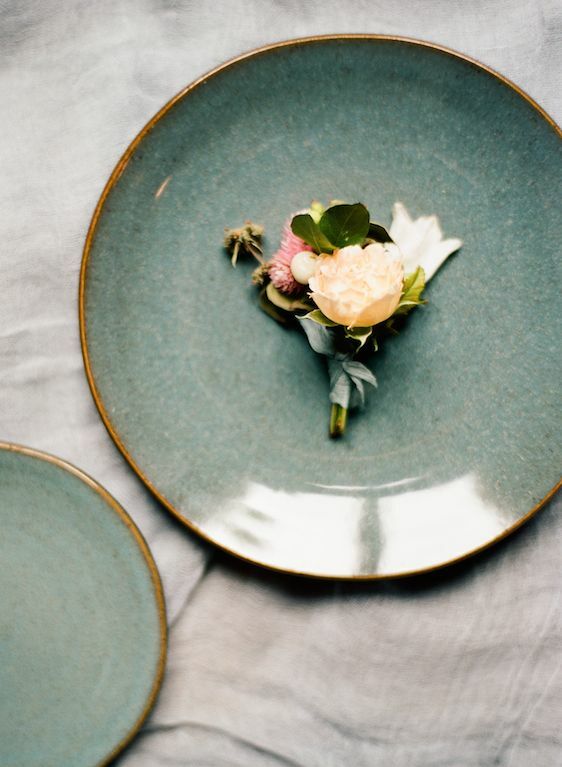 "I also wanted to play up the historic feel of the venue and pulled dinnerware that embodied a delicate and feminine feel." 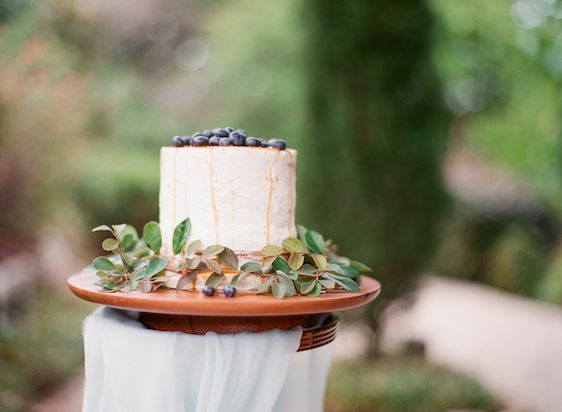 "At the end of the day, cake was enjoyed by all. 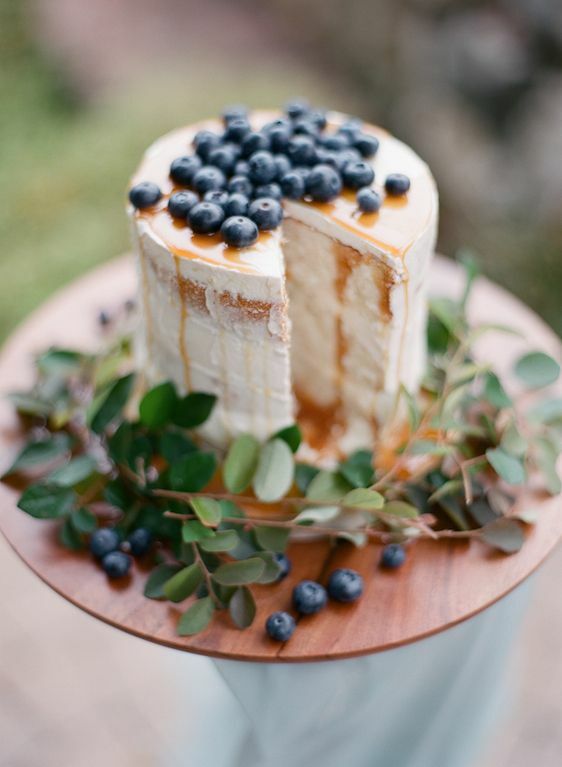 Complete with dripping carmel and fresh blueberries, the Layered Bake Shop truly outdid themselves." 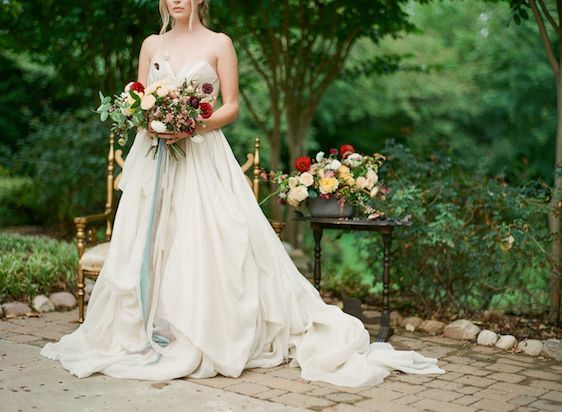 'Dusty blue dyed ribbons from The Poetry Of Silk cascaded from the bouquet. 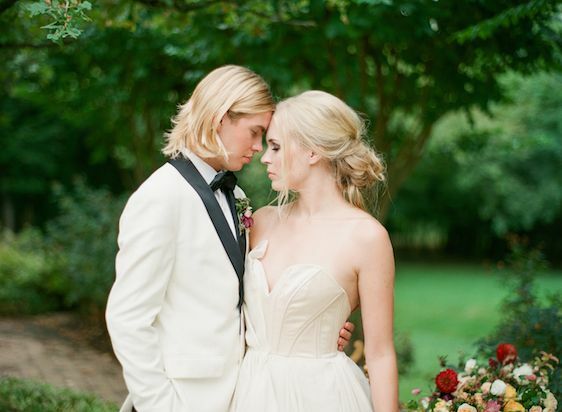 And these two? 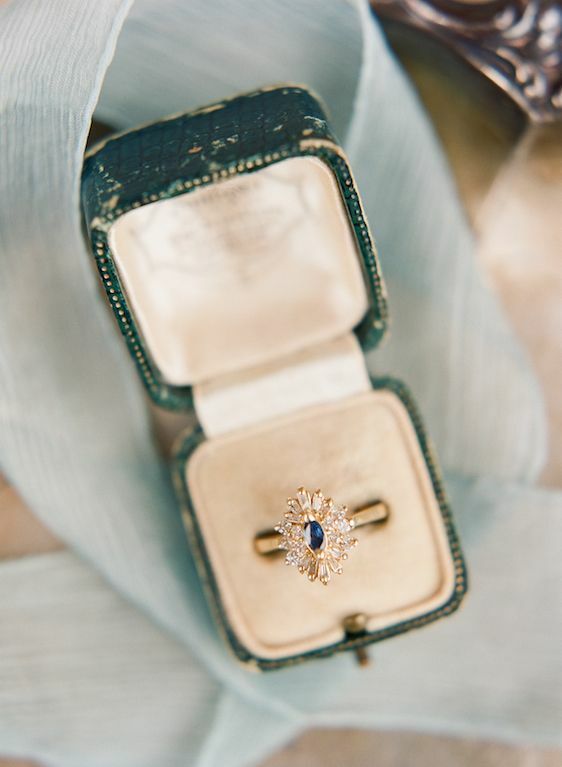 So simply gorgeous, if you ask us! 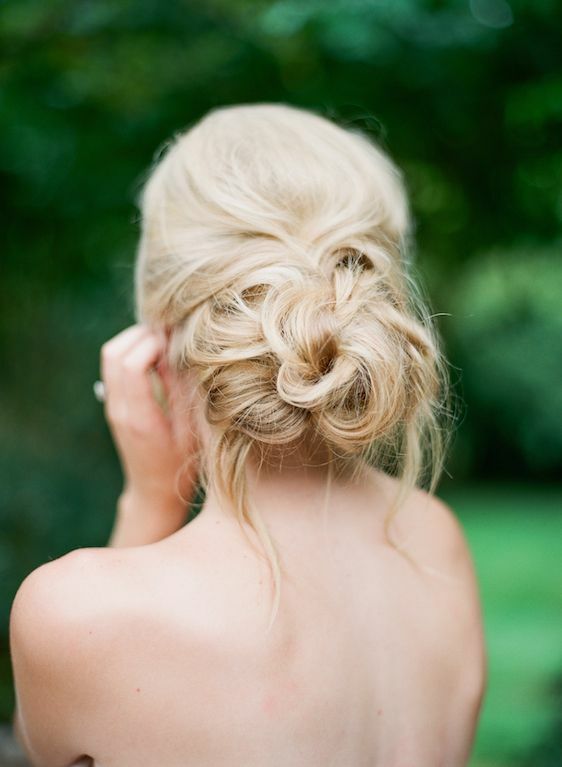 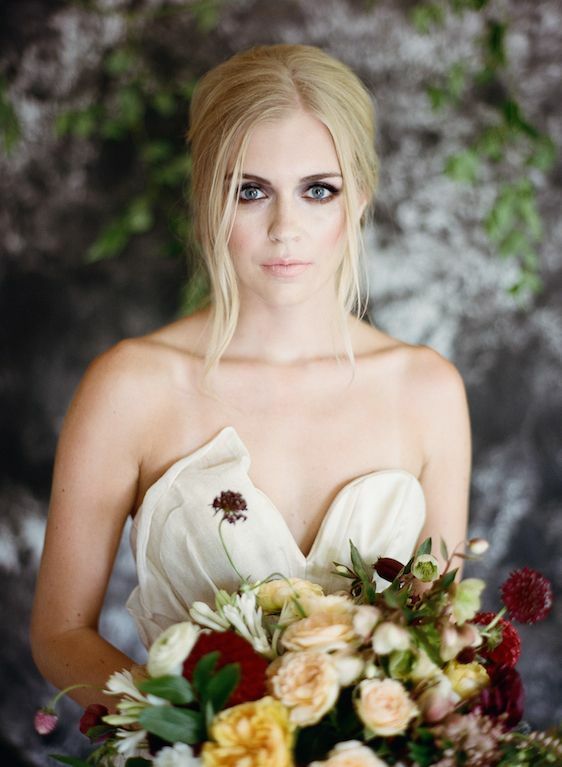 Makeup and hair was styled so beautifully by Beauty & The Blush. 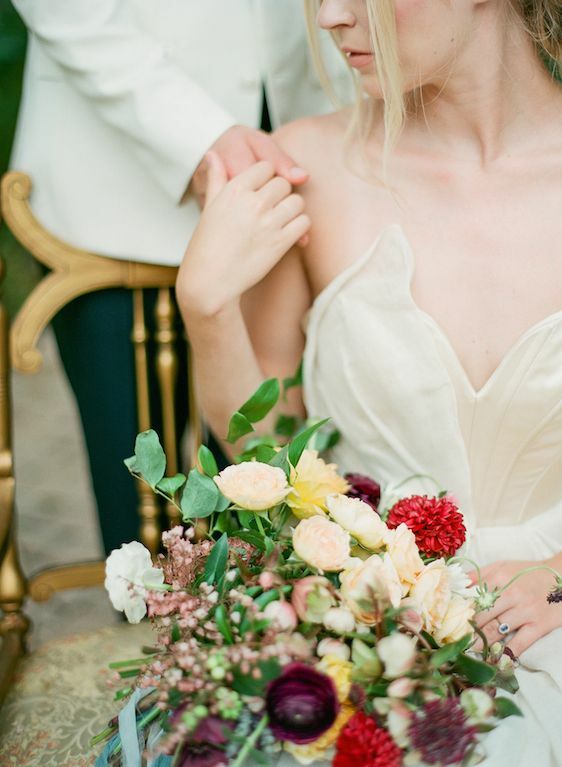 ...and we can't go without mentioning this dream team of wedding vendors who came together to bring this styled shoot to life! 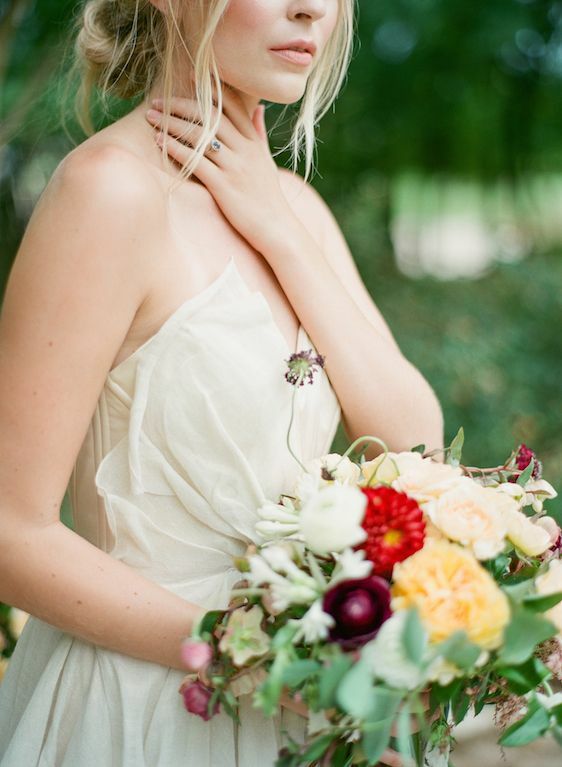 Beautiful, enchanting, and so absolutely gorgeous! 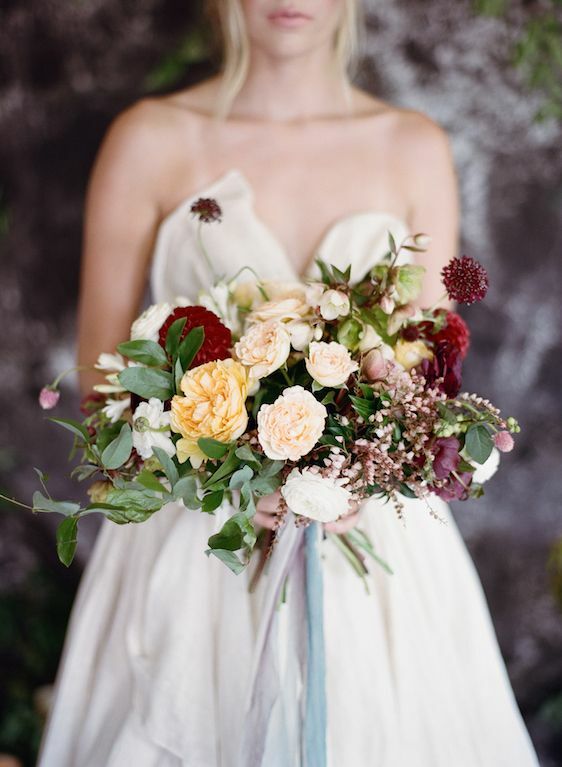 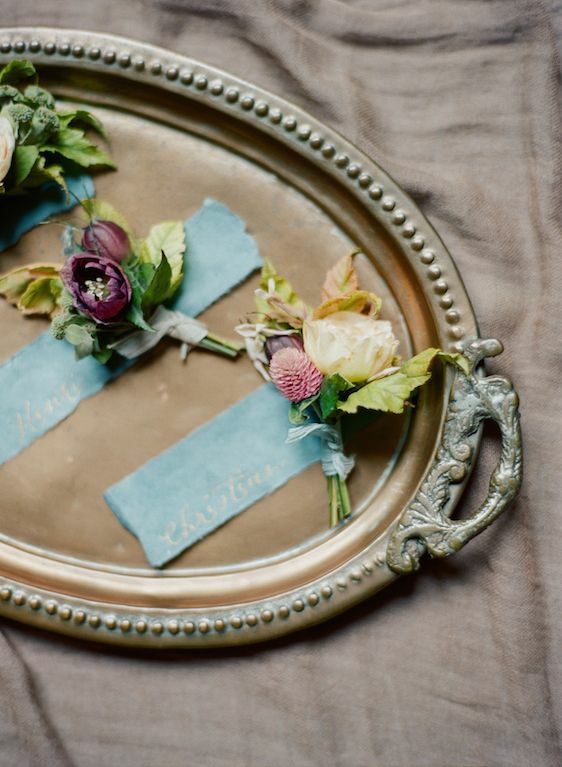 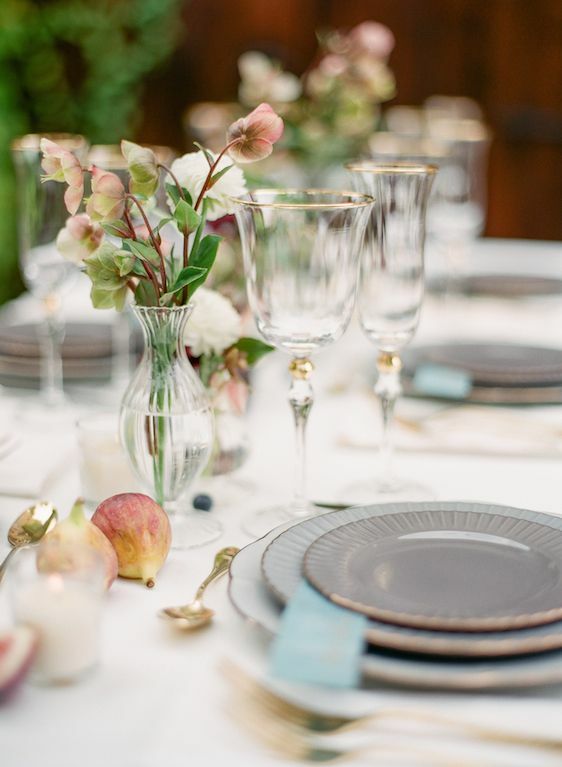 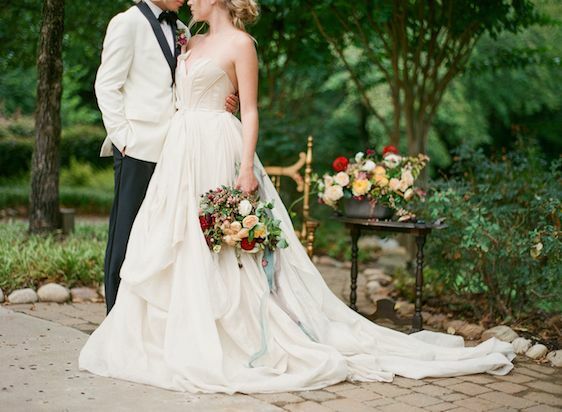 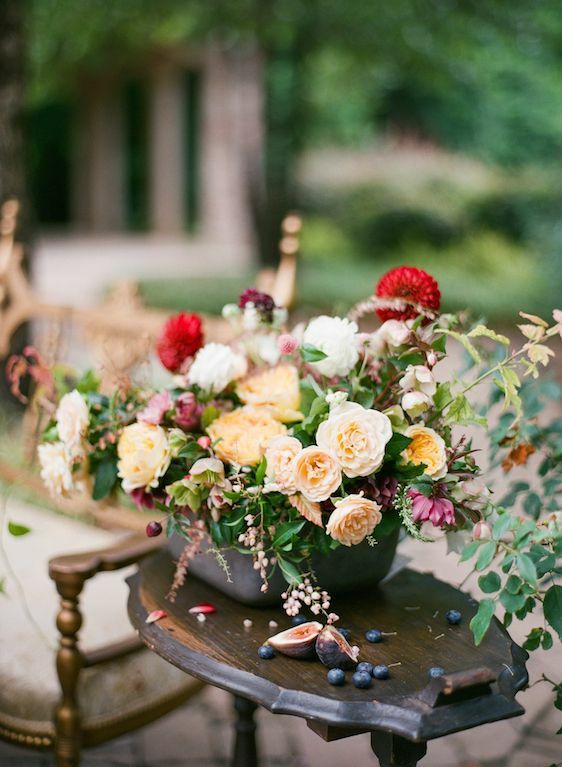 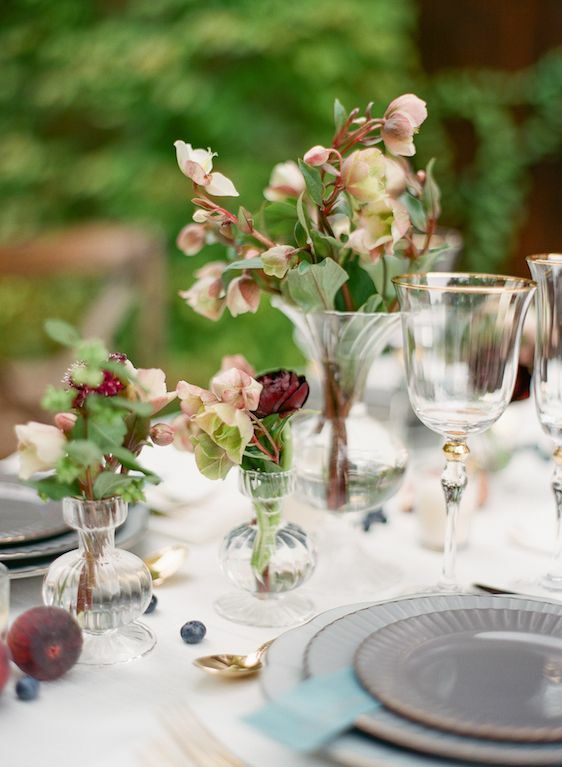 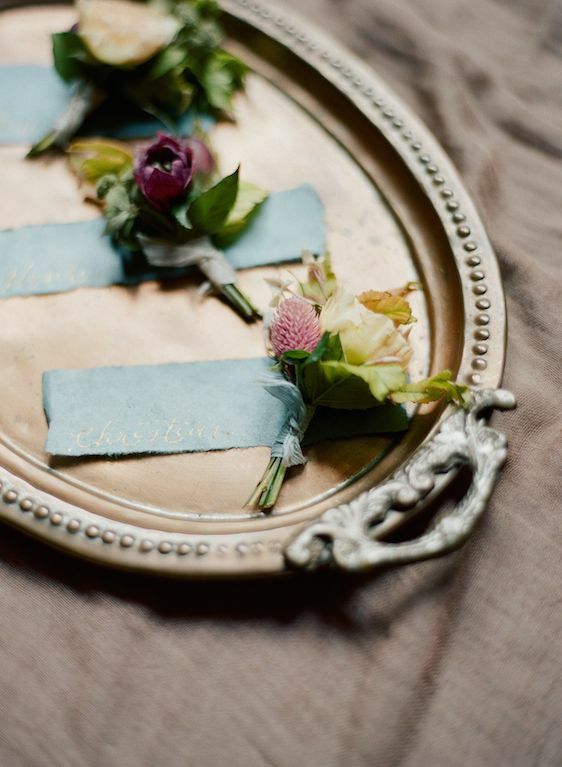 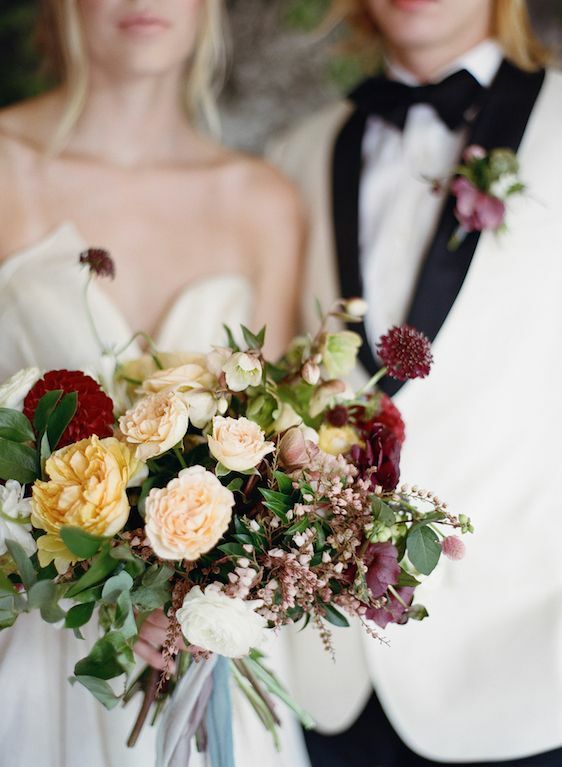 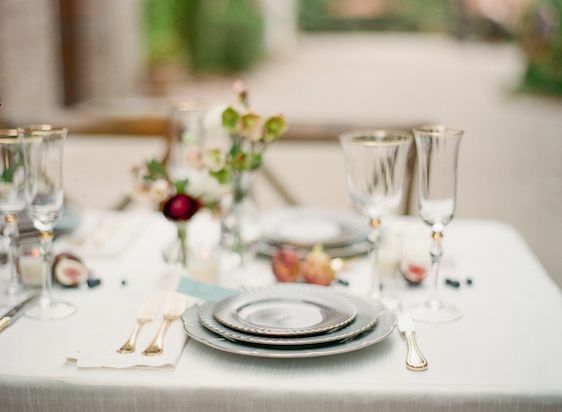 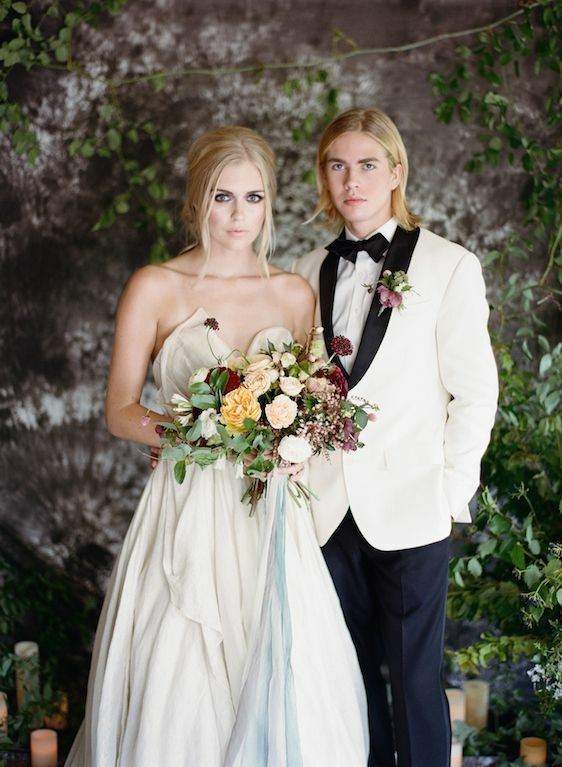 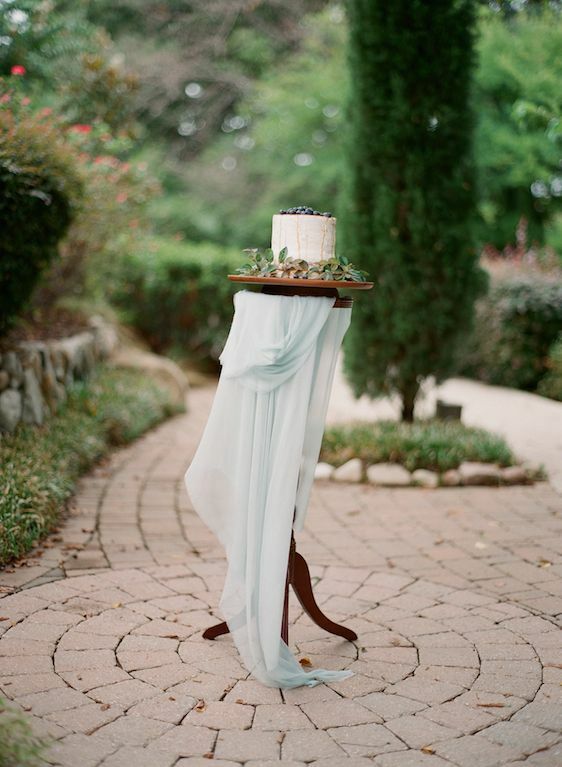 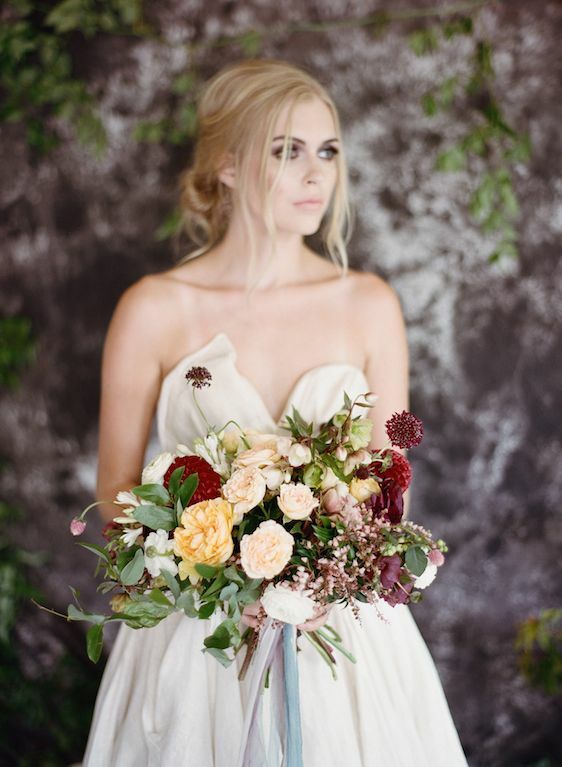 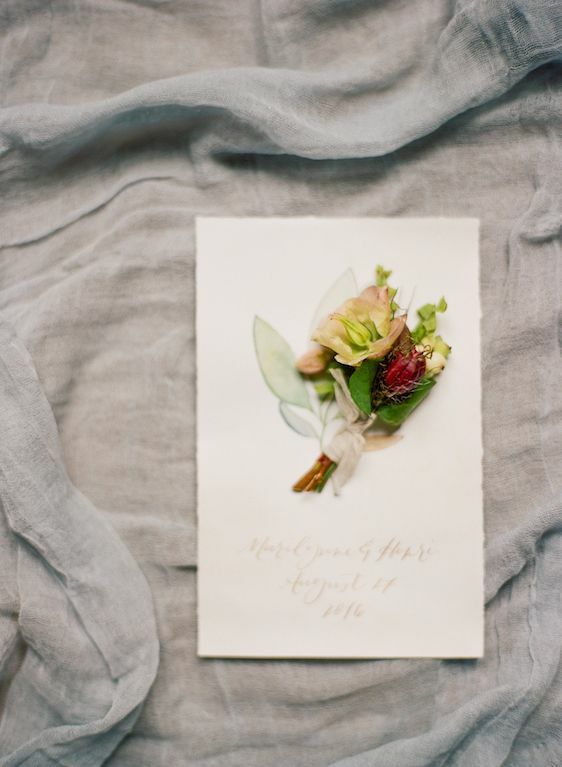 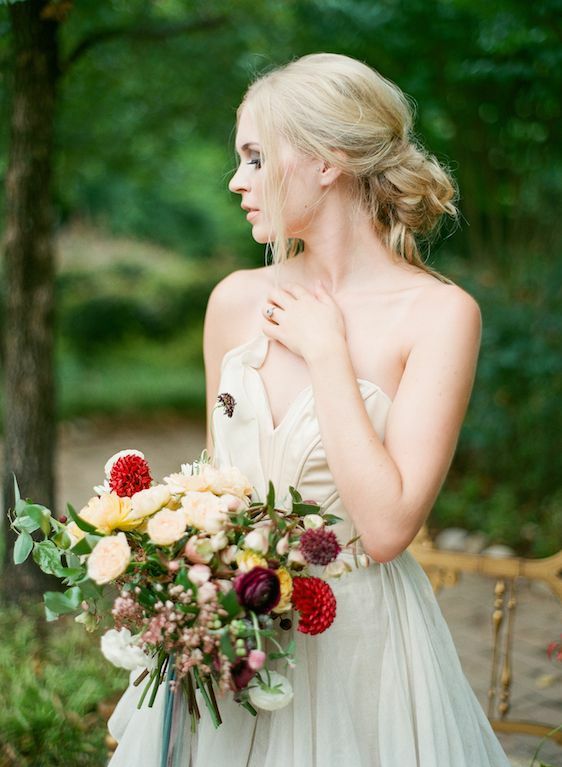 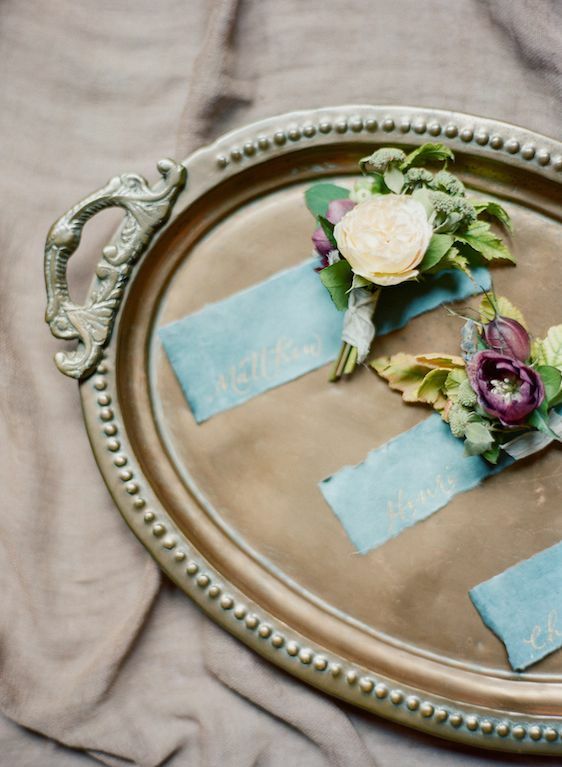 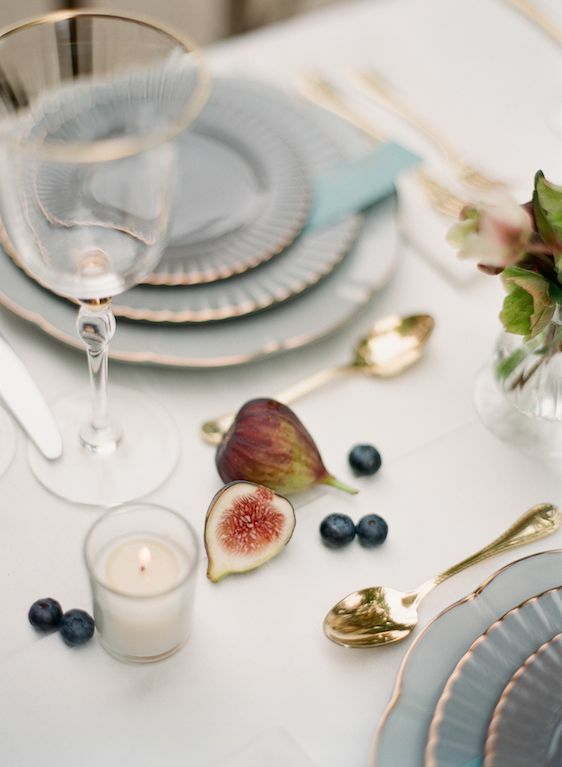 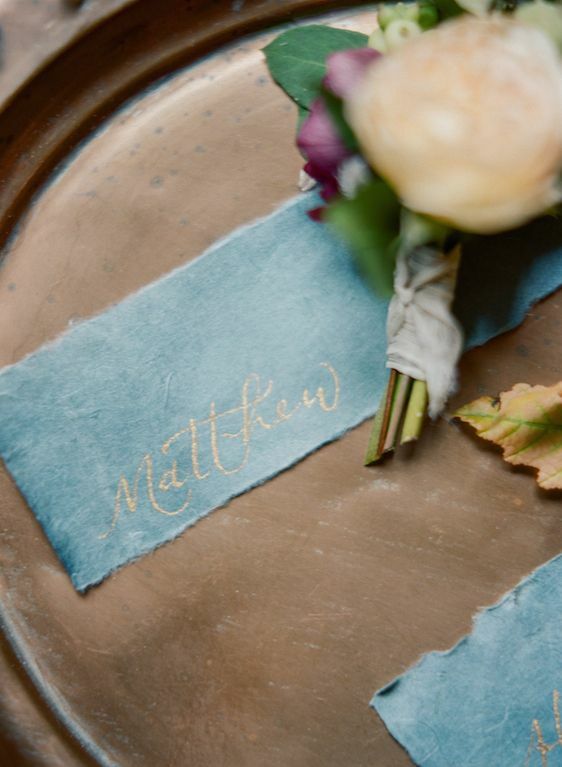 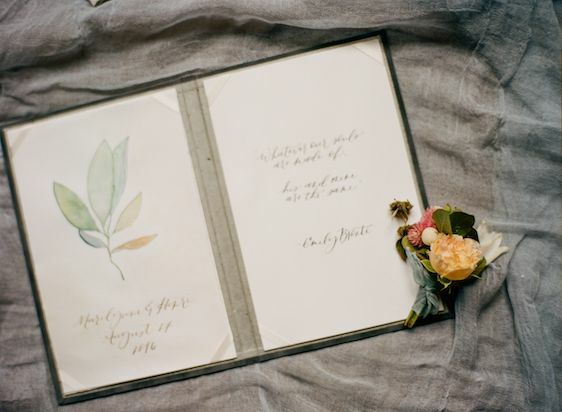 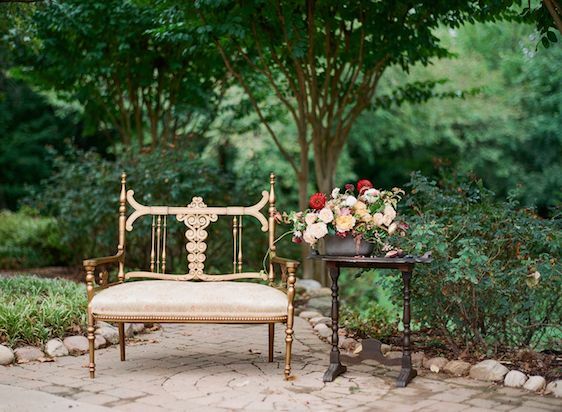 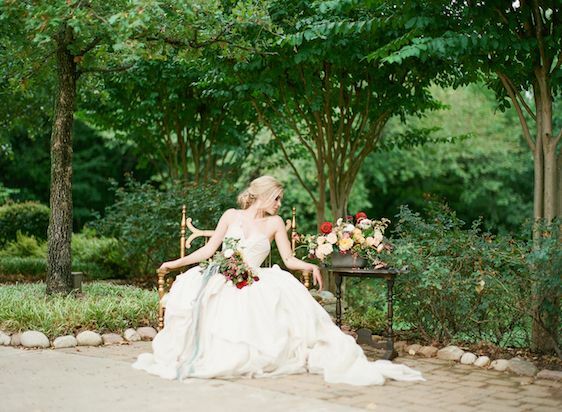 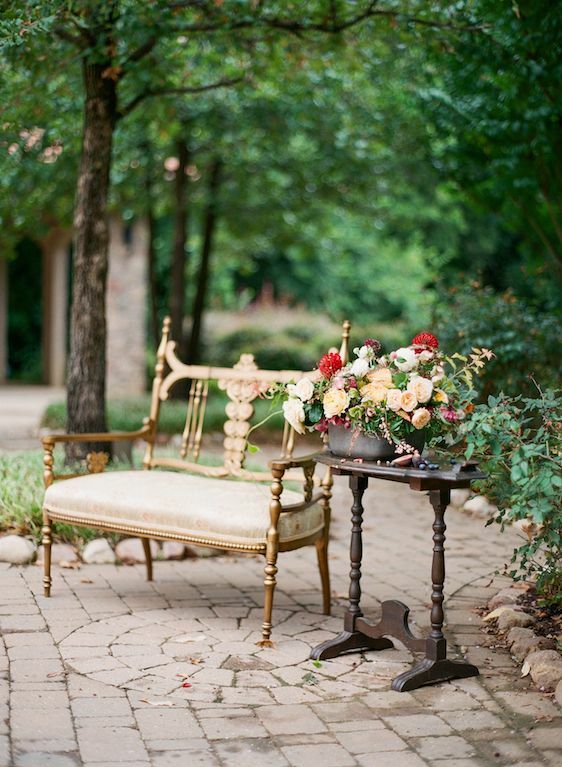 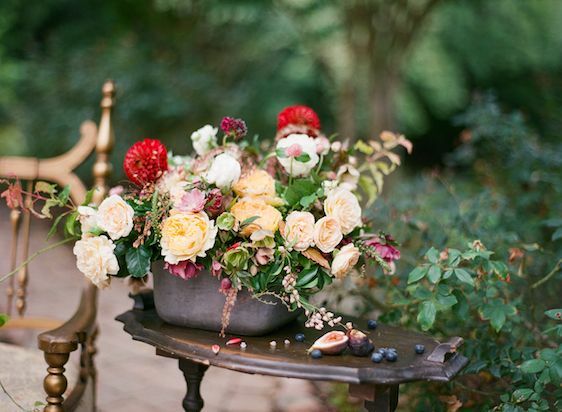 4 Comments " Moody Fall Wedding Inspiration with Organic Florals "
Such a beautiful day! 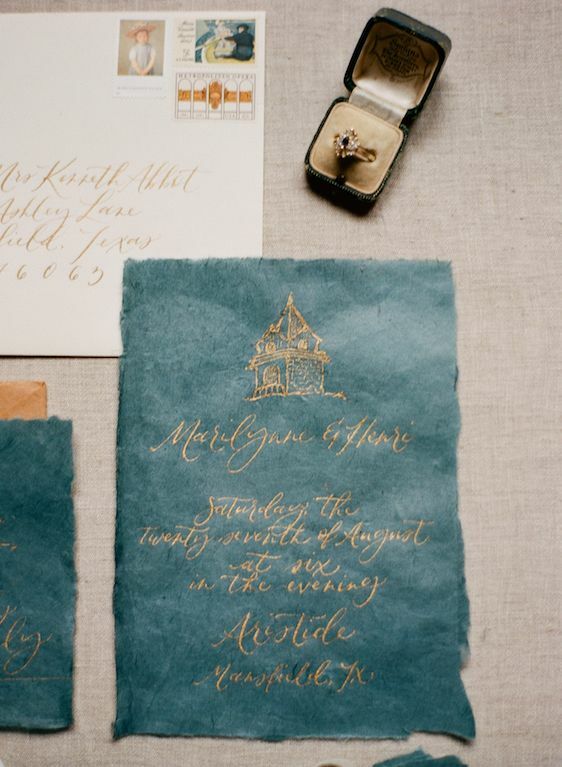 The emerald color scheme is breathtaking. 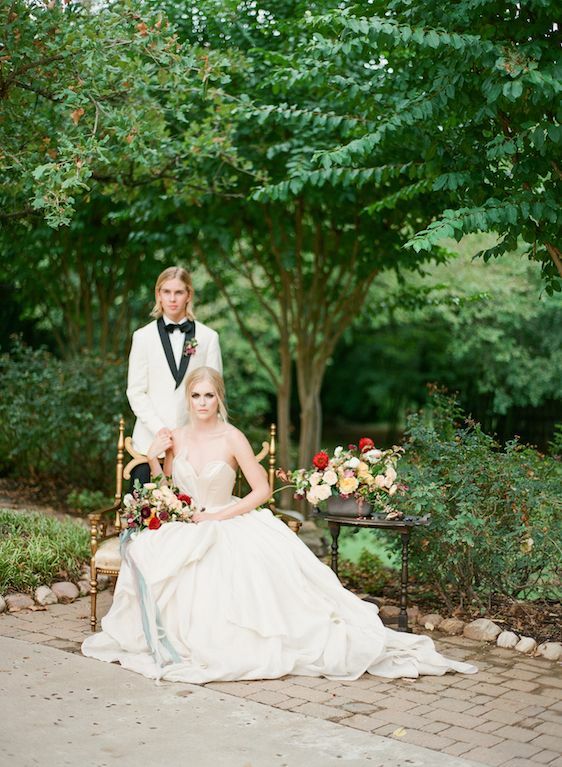 What a gorgeous couple and day! 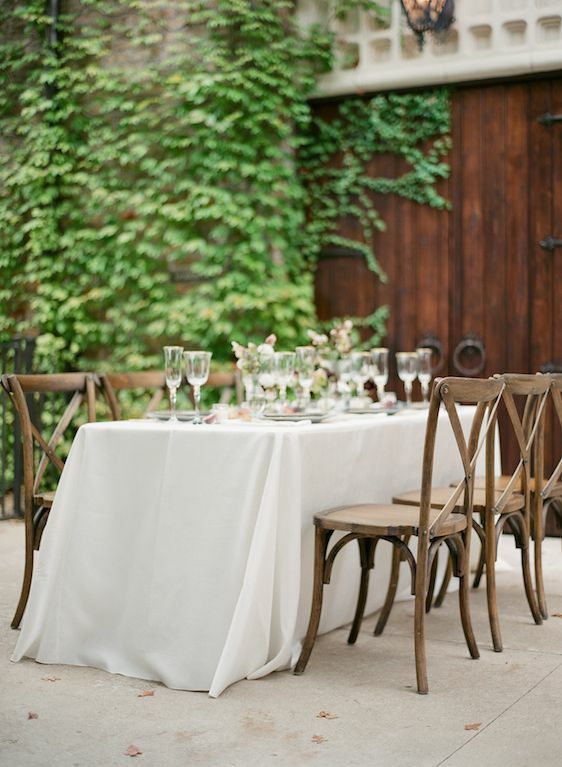 The love, affection, decoration, venue, dressing and rest of all elements are superbly done. 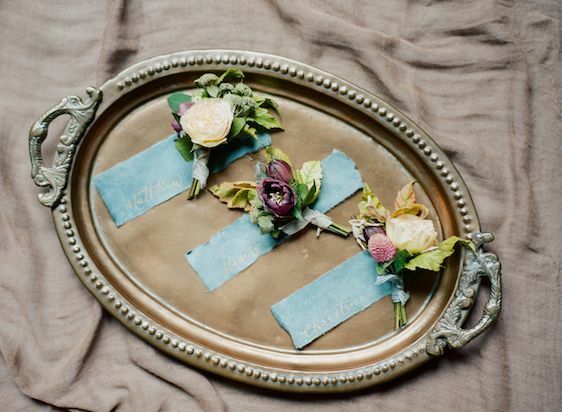 These all are making a perfect wedding post. 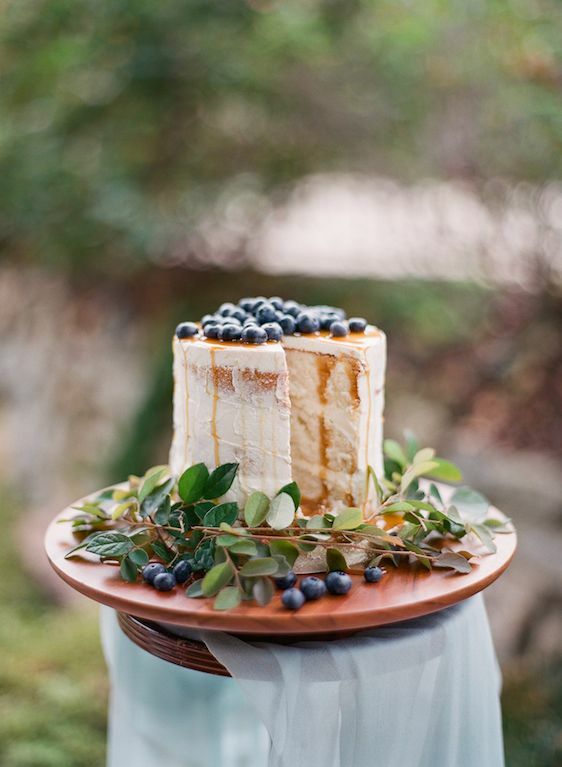 All the factors including the love and affection between bride and groom added icing to the cake.